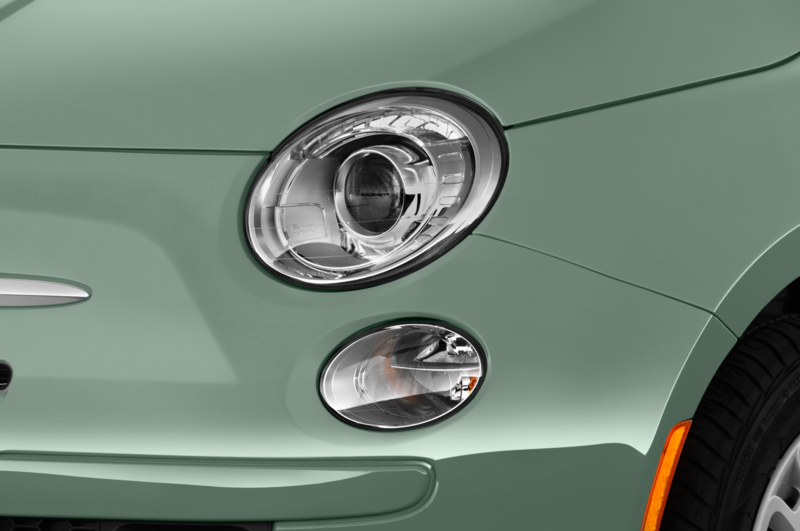 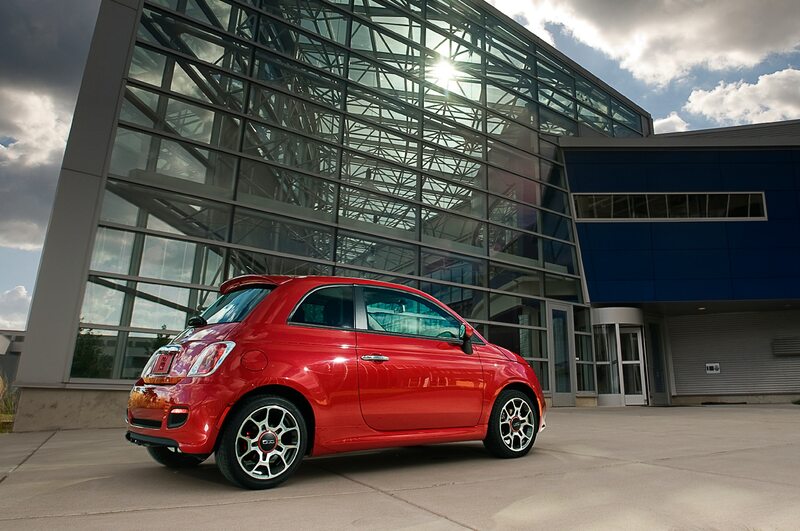 We’re at Chrysler’s proving grounds in Chelsea, Michigan, and we’re biting our nails in anticipation. 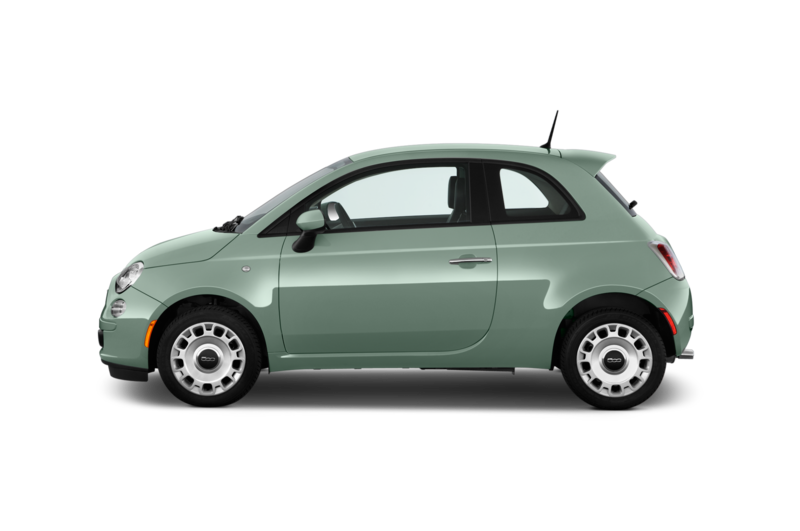 A handling course has been set up on the hot asphalt, and there are a bunch of us lined up like iPhone fanatics outside of Best Buy. 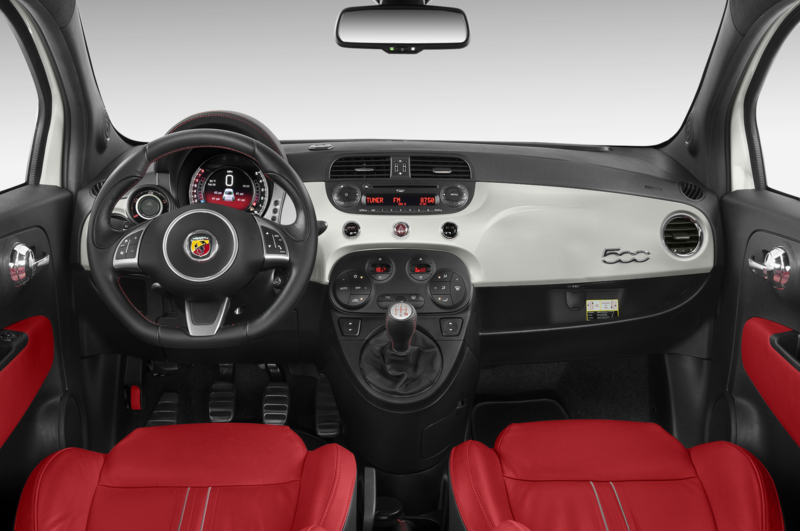 While everyone else is waiting to take hold of the Alfa Romeo 4C and Dodge Viper, we notice a lonely 2015 Fiat 500 Abarth, newly equipped with a six-speed automatic transmission. 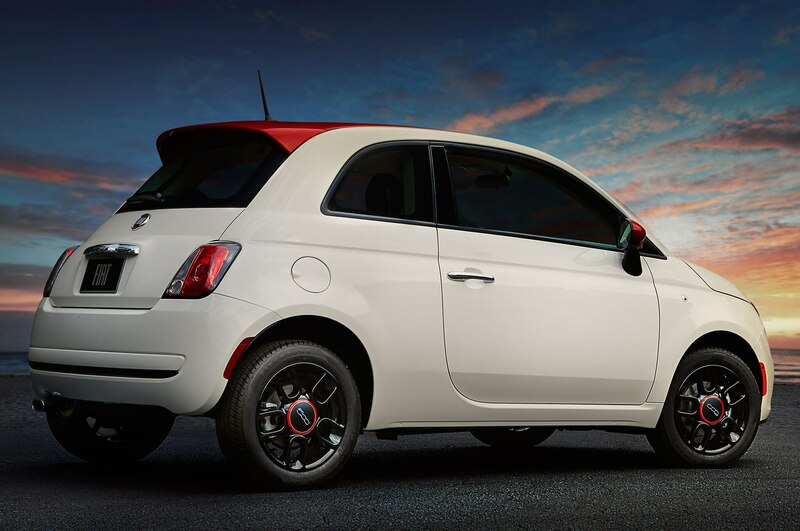 Poor baby needs some company. 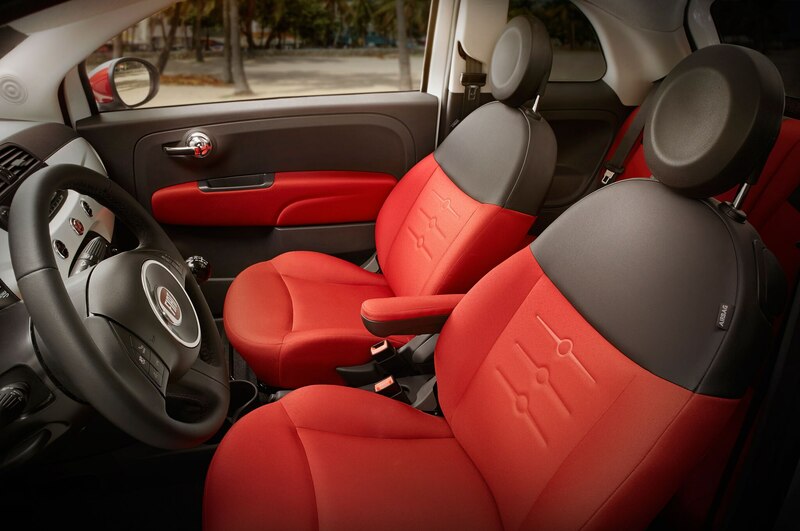 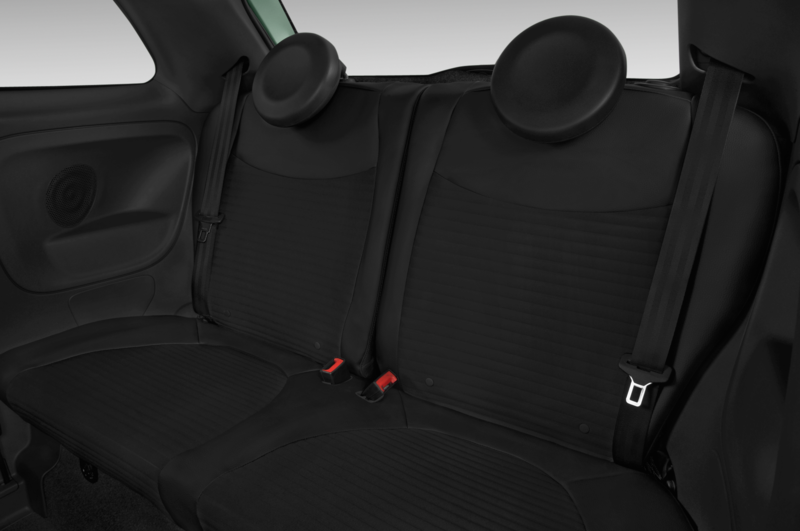 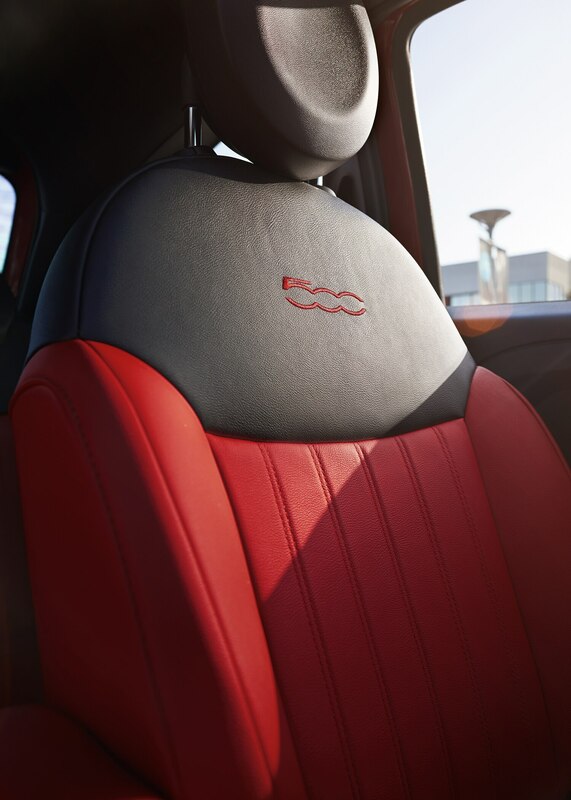 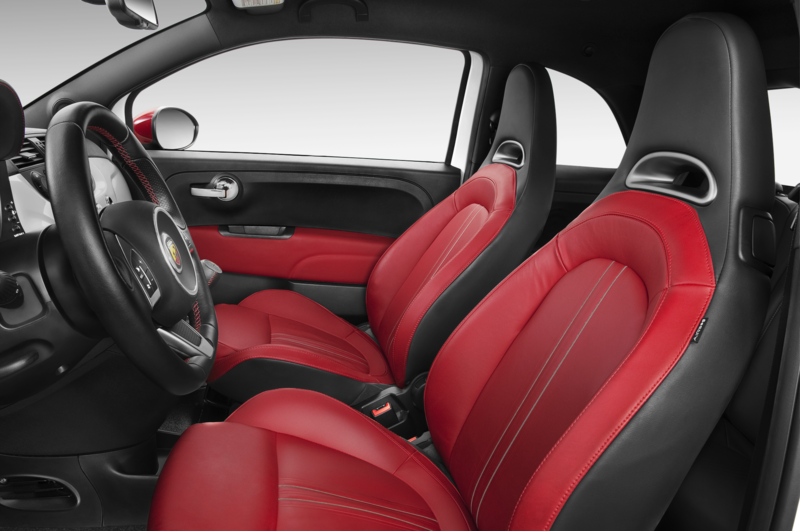 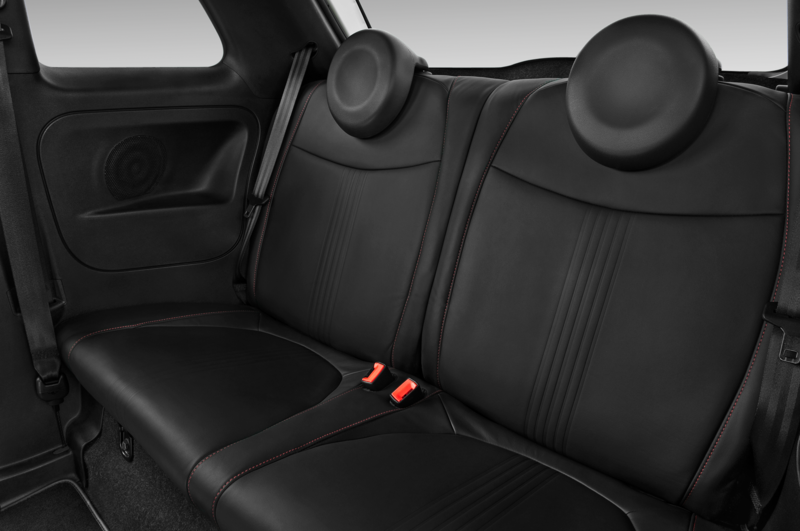 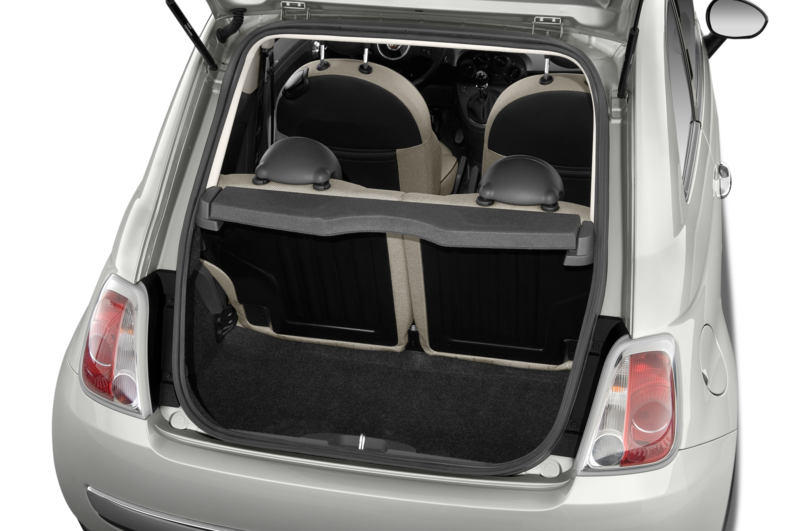 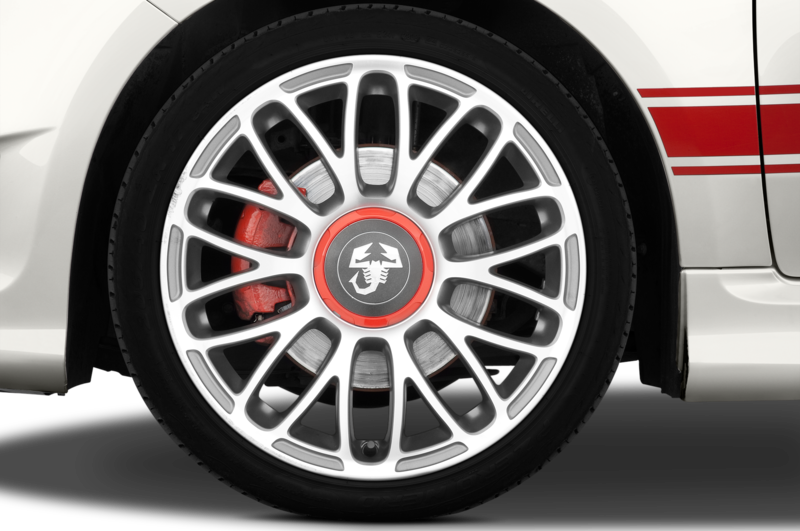 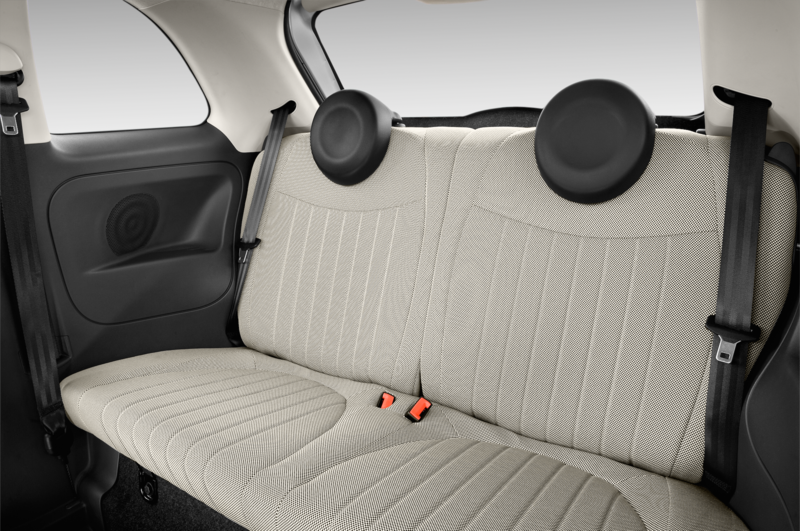 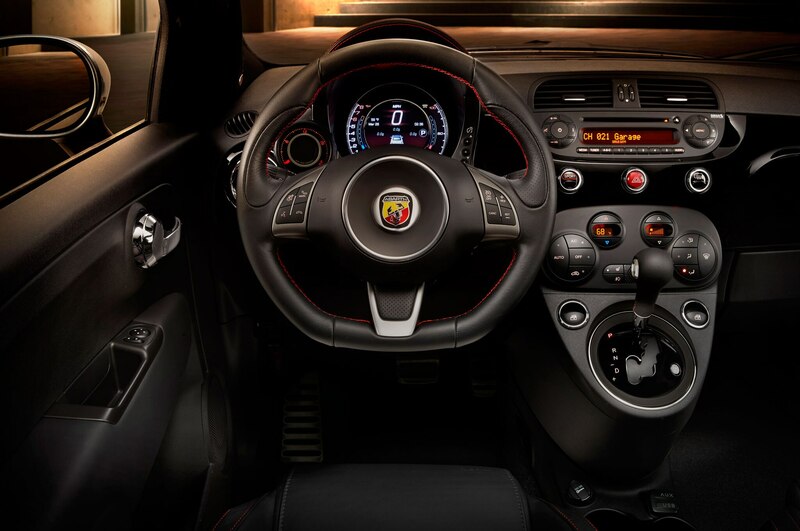 A quick look around confirms that nobody is clamoring for seat time in the Abarth. 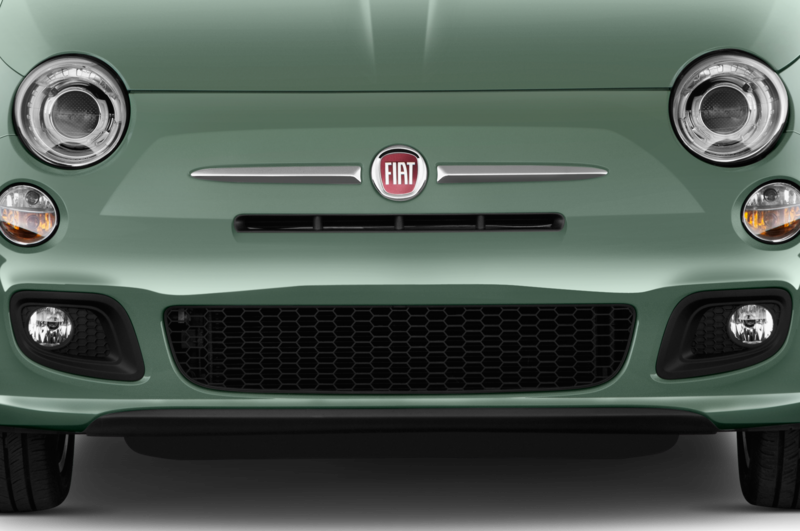 Their loss. 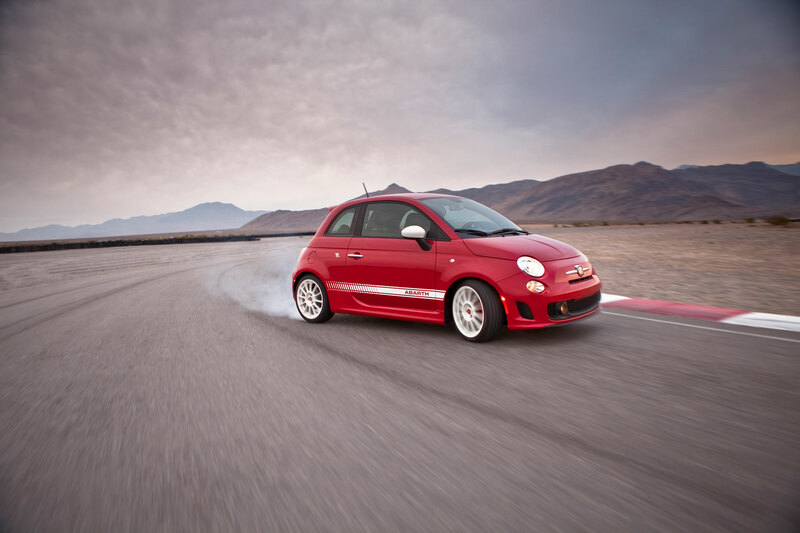 The tight and twisting handling course is an ideal playground for the boisterous front-wheel-drive 2015 Fiat 500 Abarth, whereas the high-powered Viper barely has time to open up before it has to brake hard again. 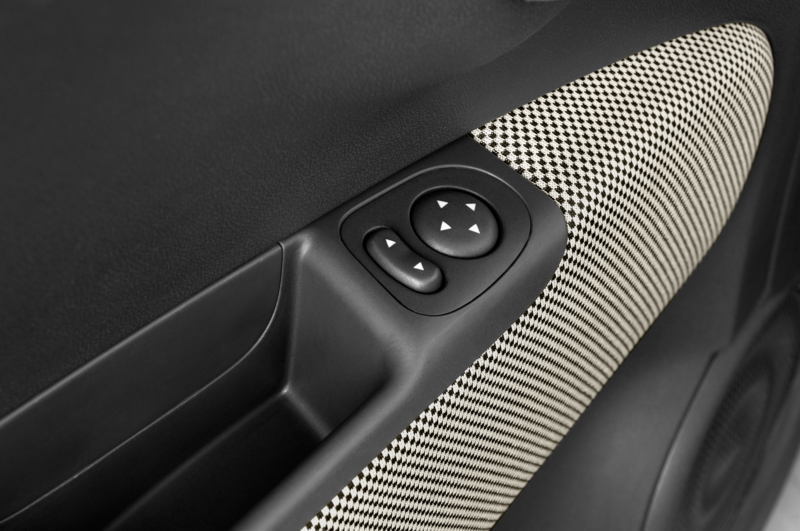 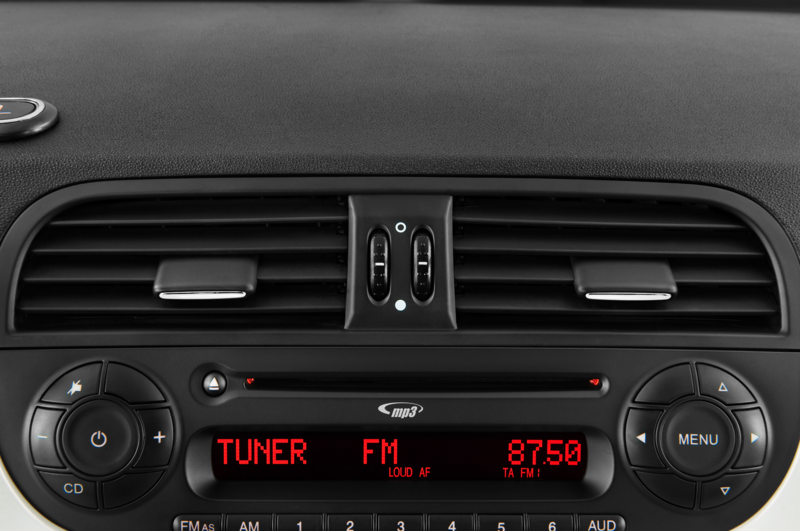 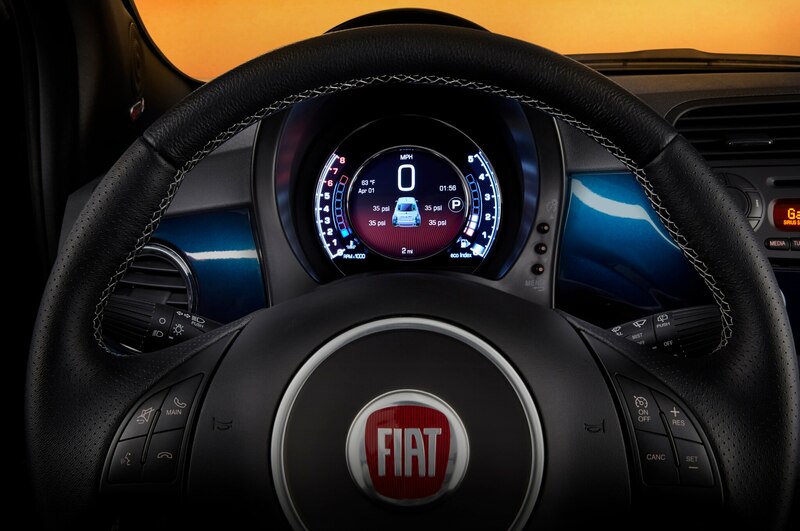 We belt in and punch the Sport button on the dash. 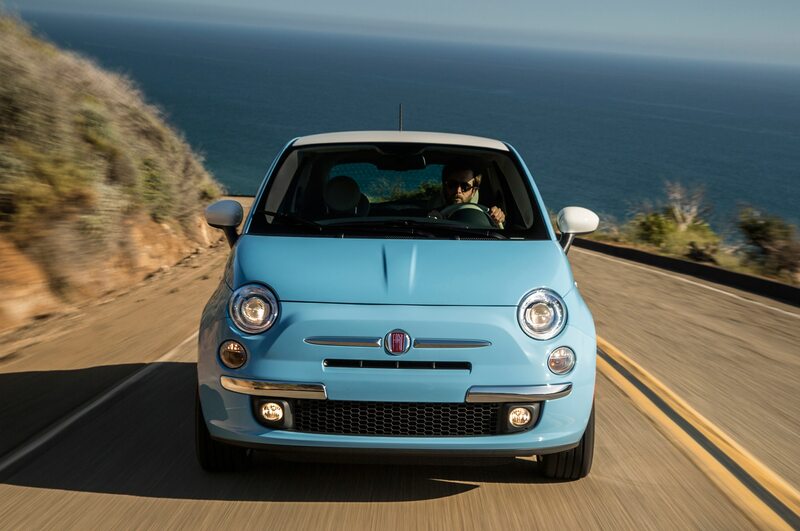 The go-ahead is finally delivered, and we’re off with a ferocious din of screeching tires and blaring exhaust. 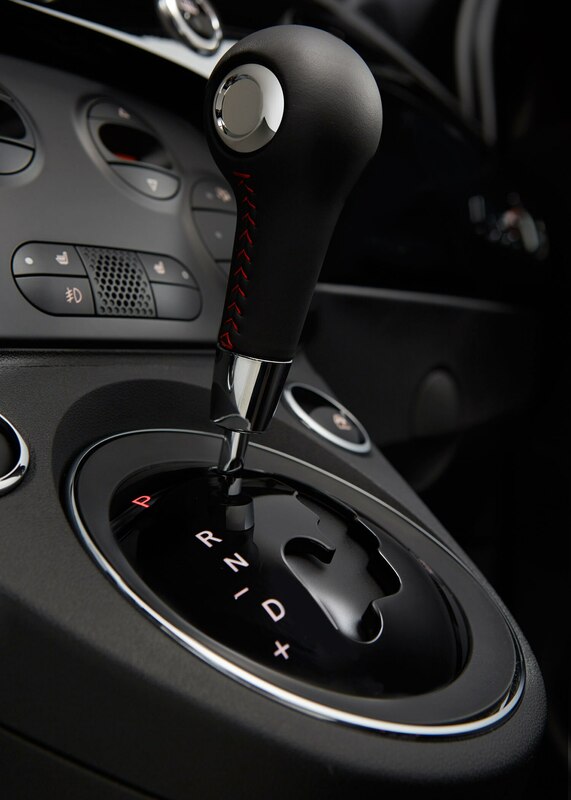 Upshifts from the new six-speed automatic transmission are hard, snappy, and coupled with satisfying crackles and pops as the fuel cuts off with each gear change. 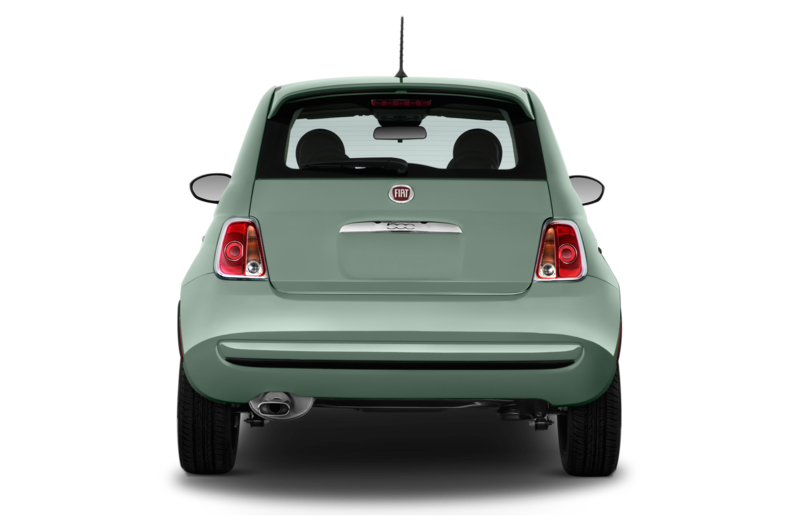 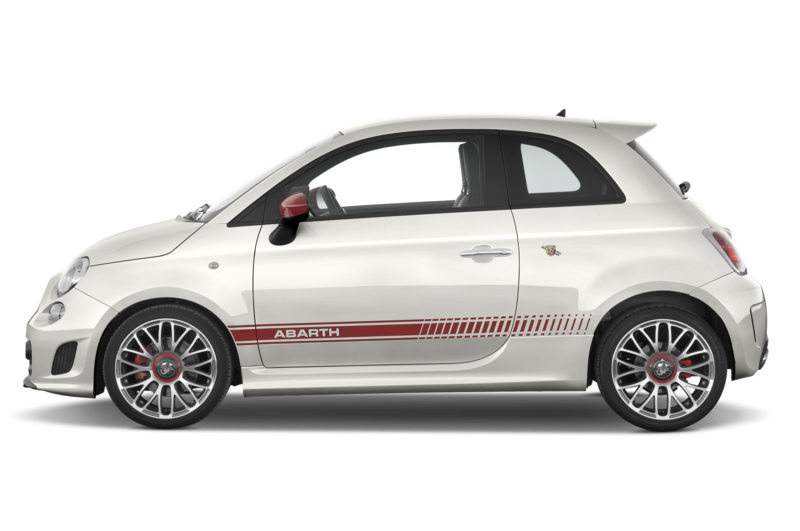 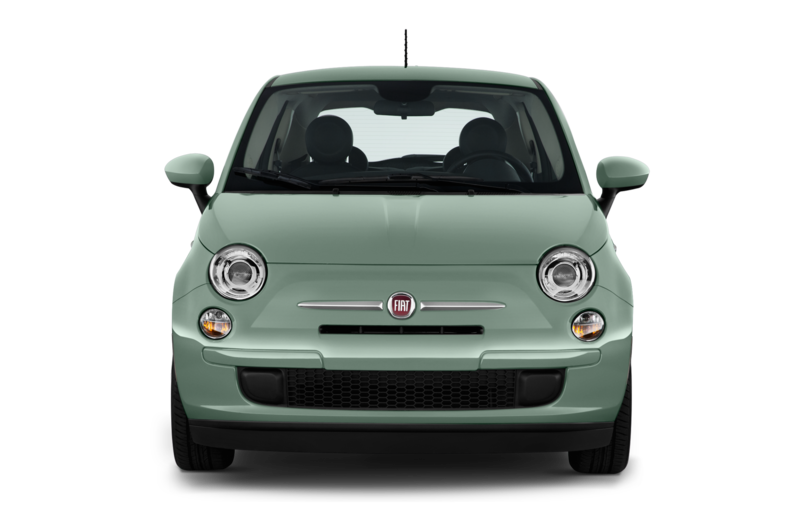 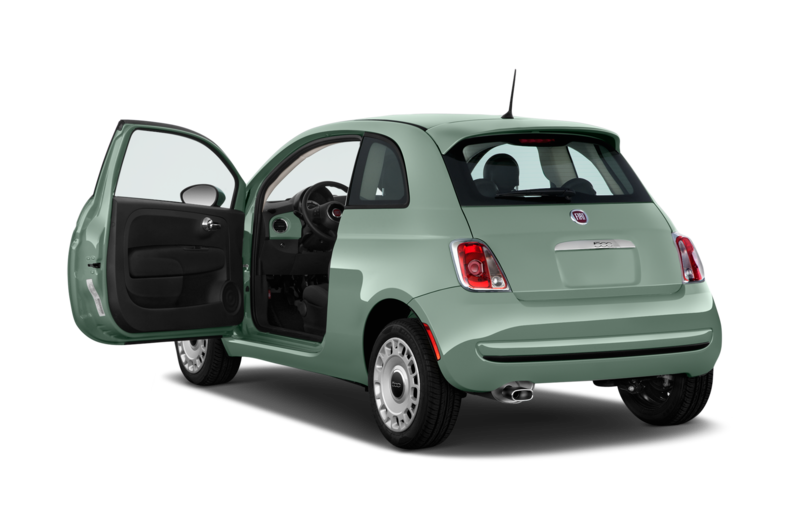 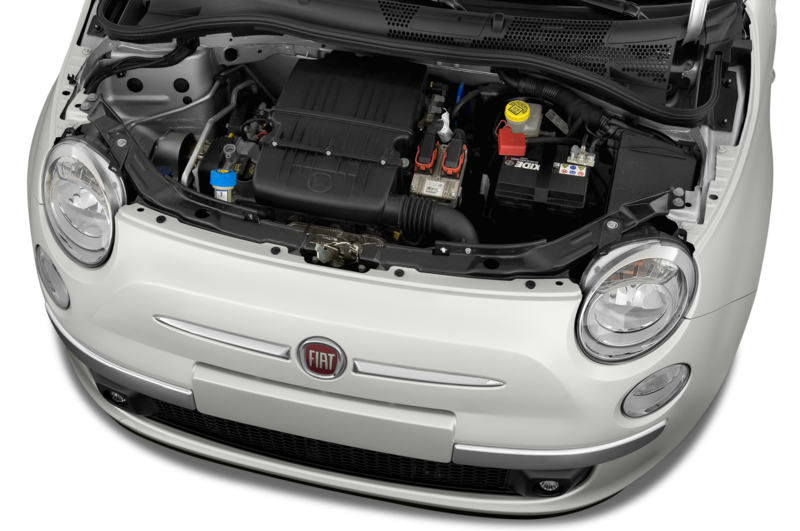 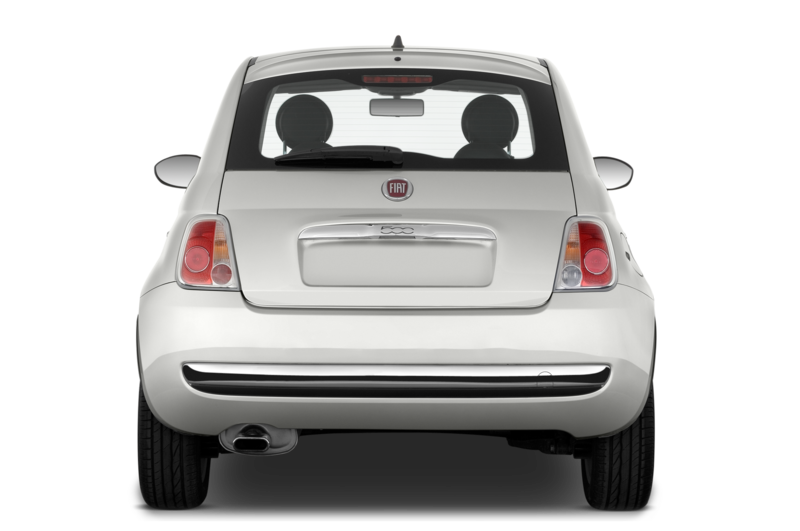 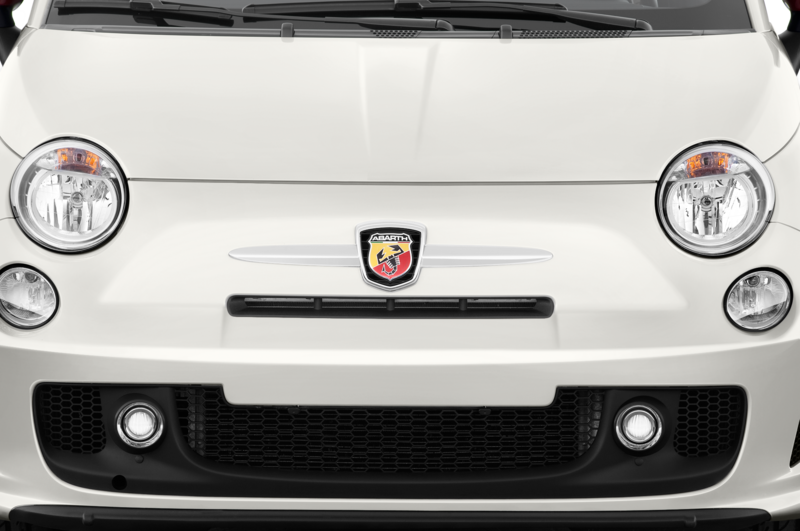 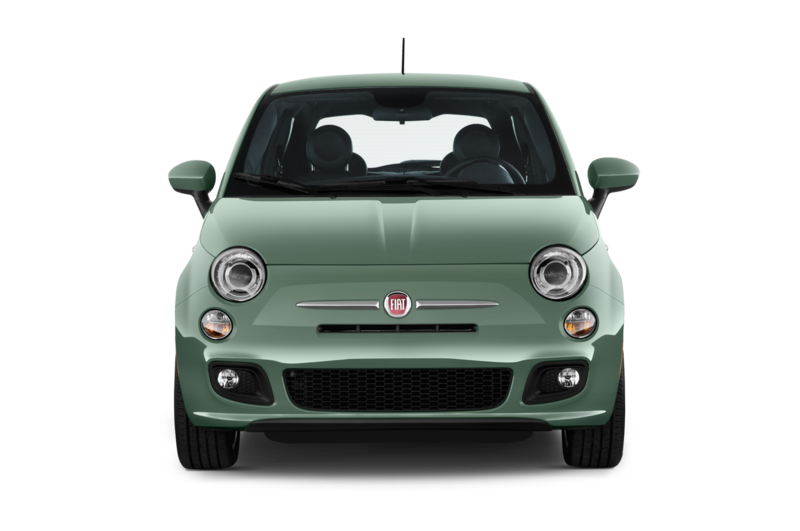 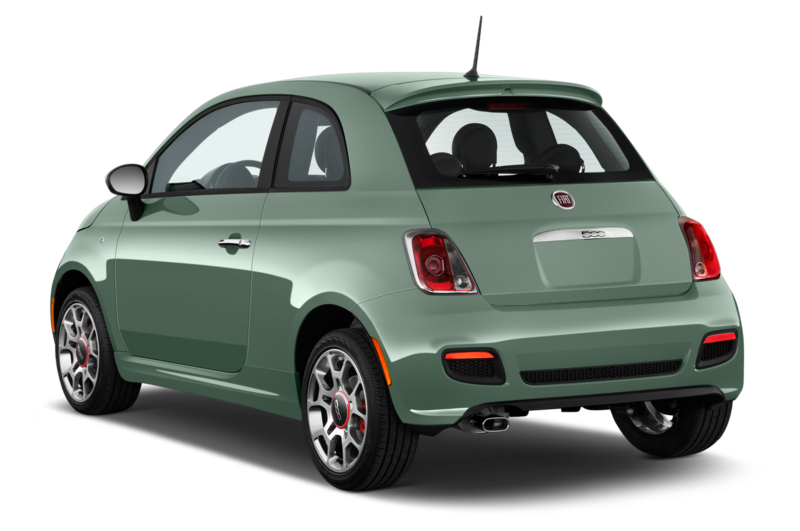 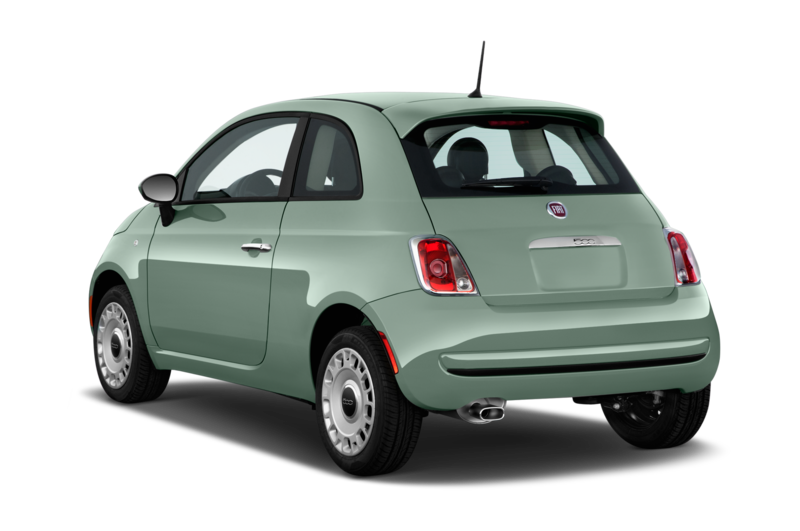 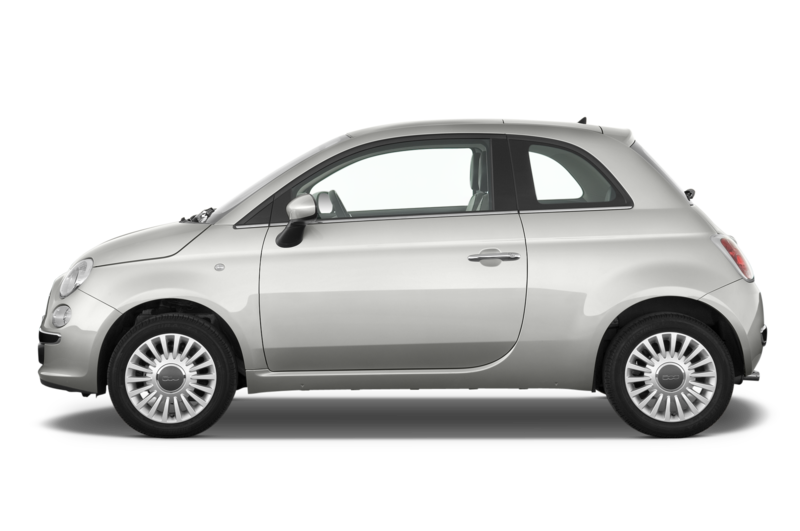 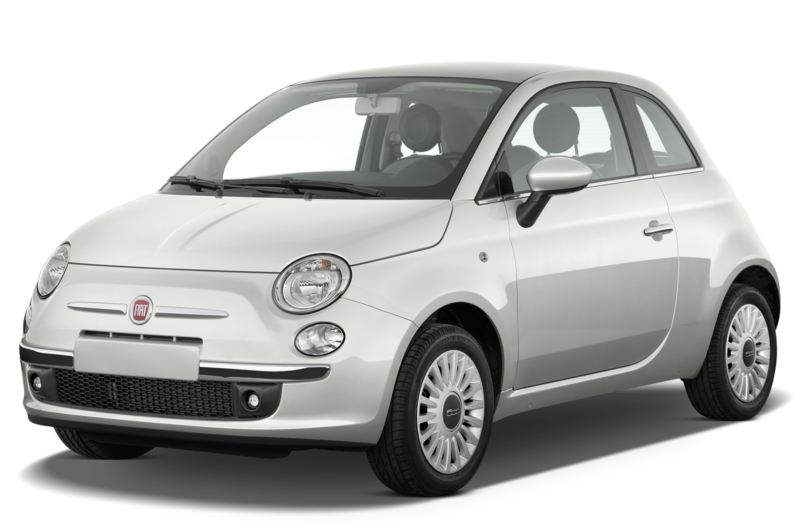 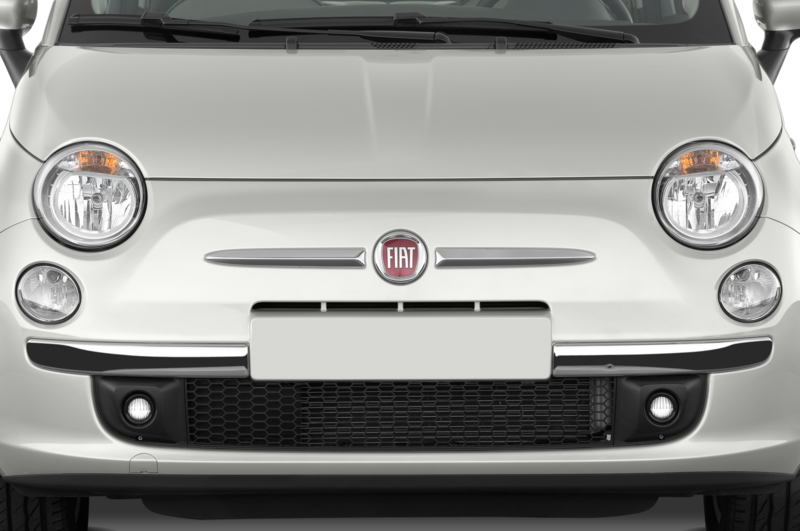 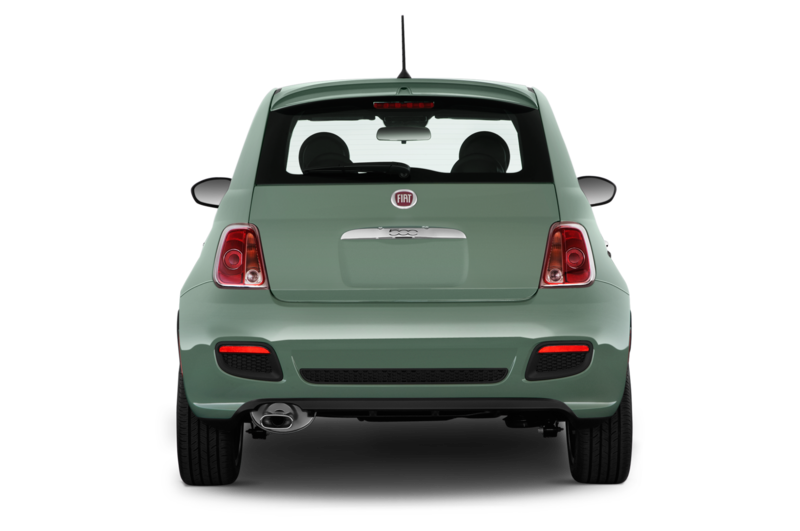 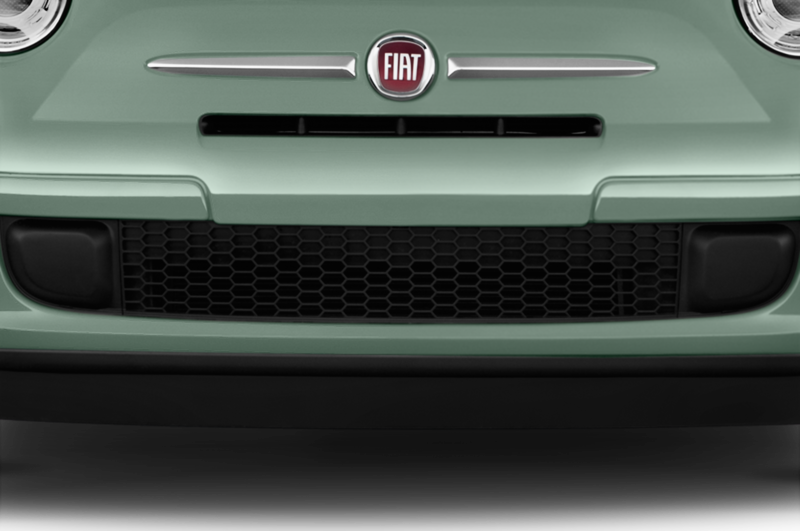 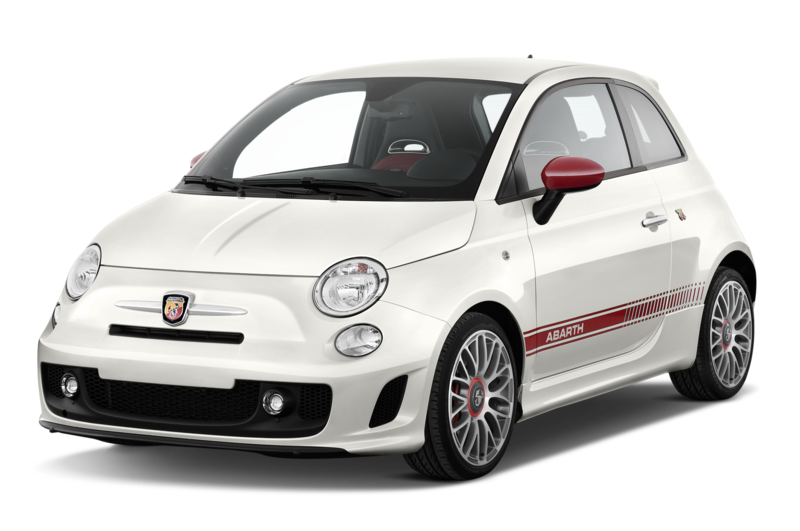 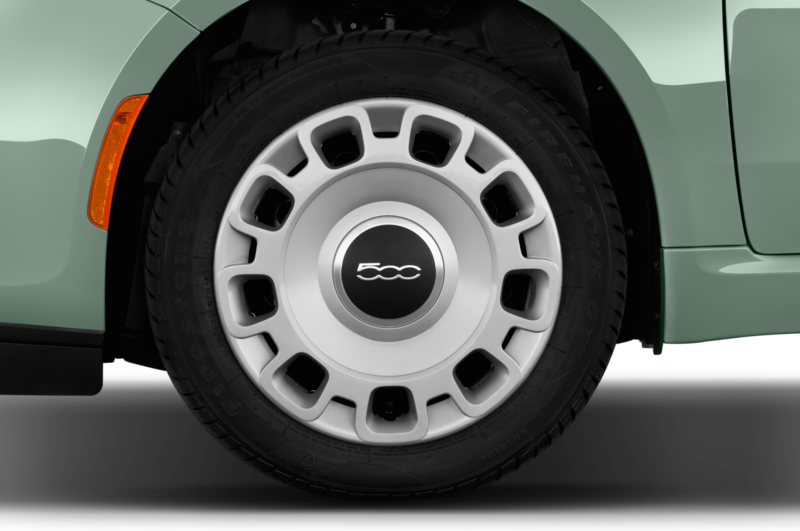 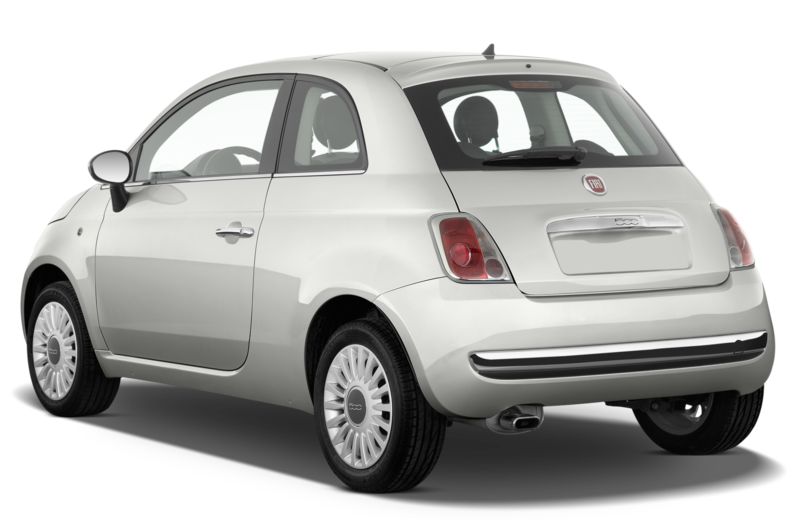 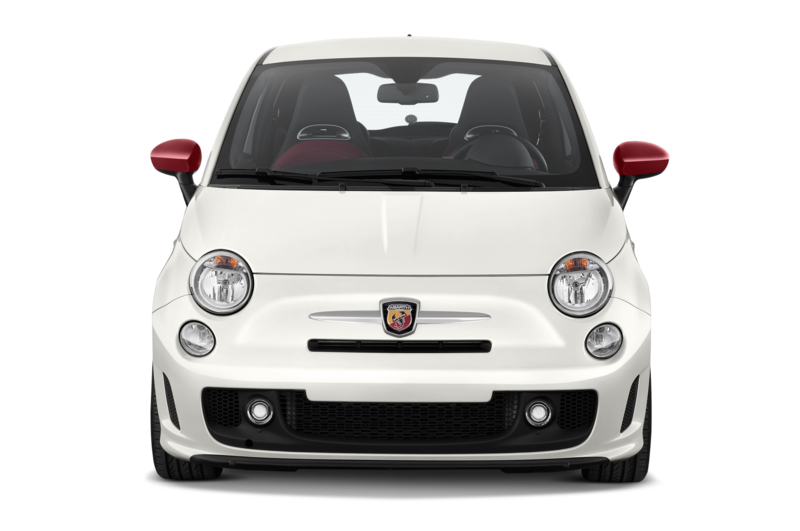 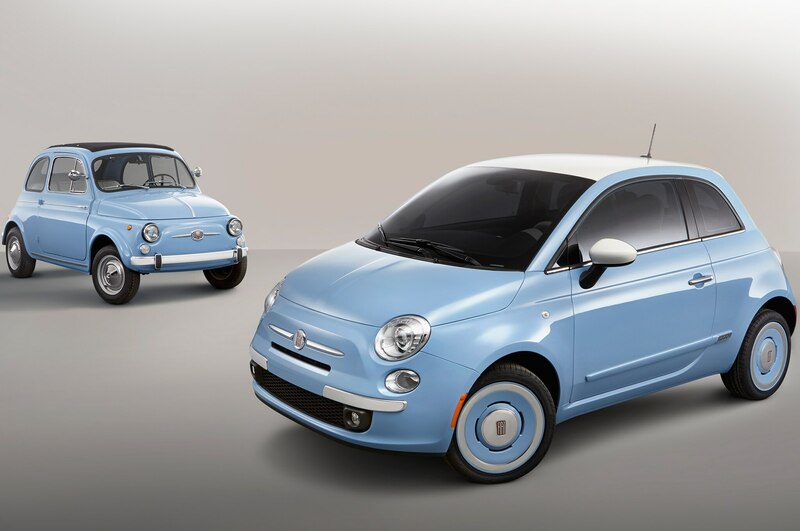 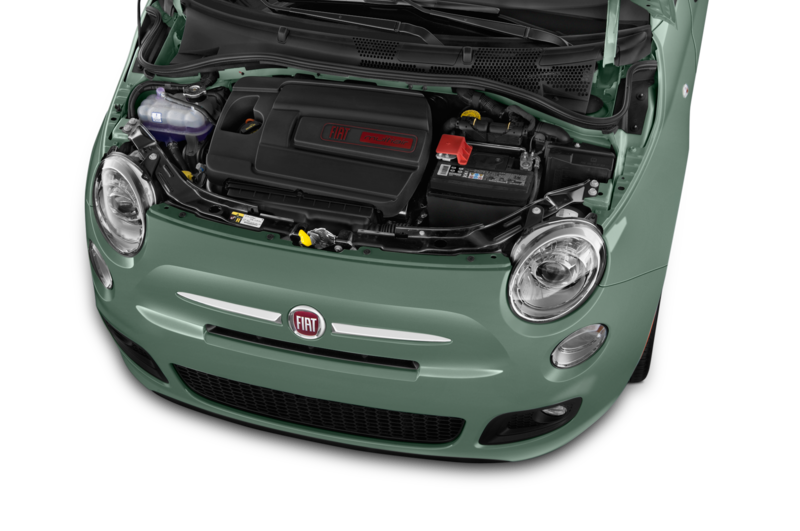 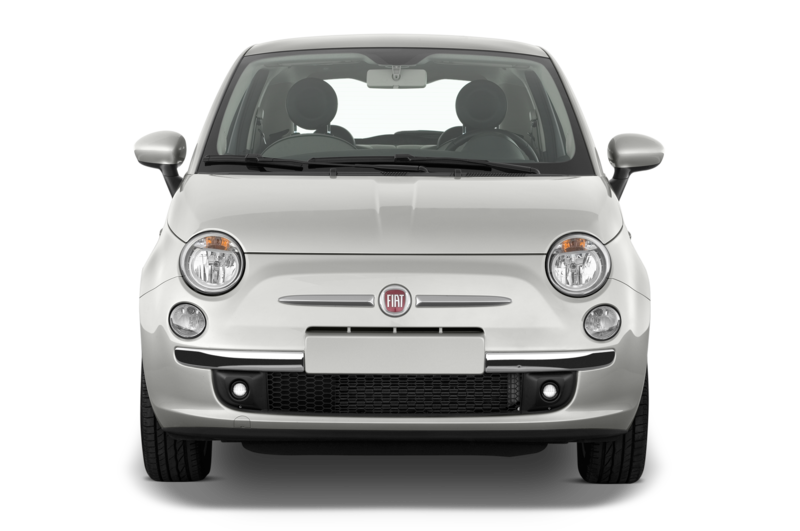 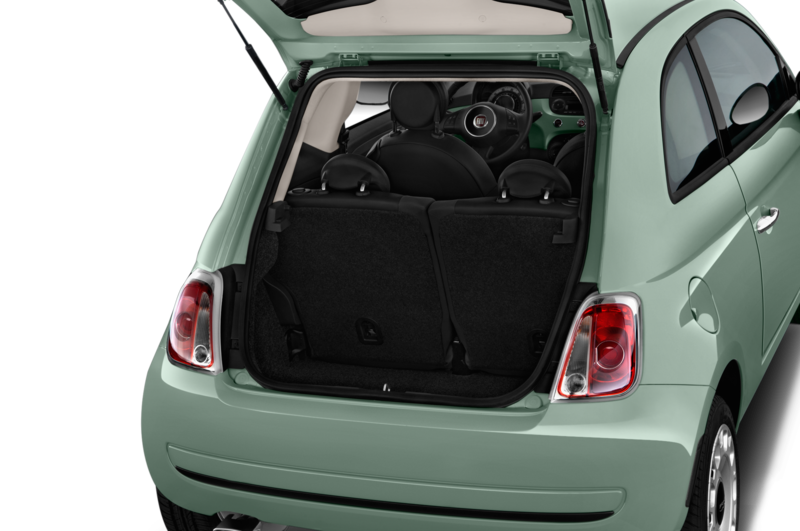 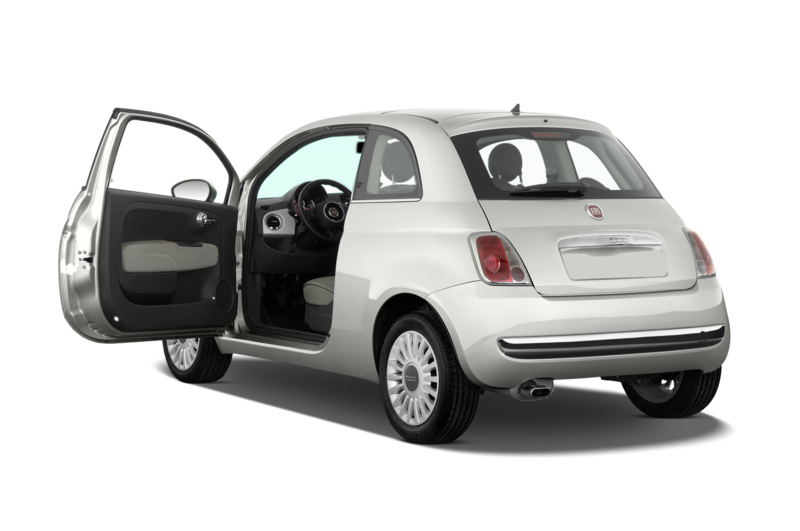 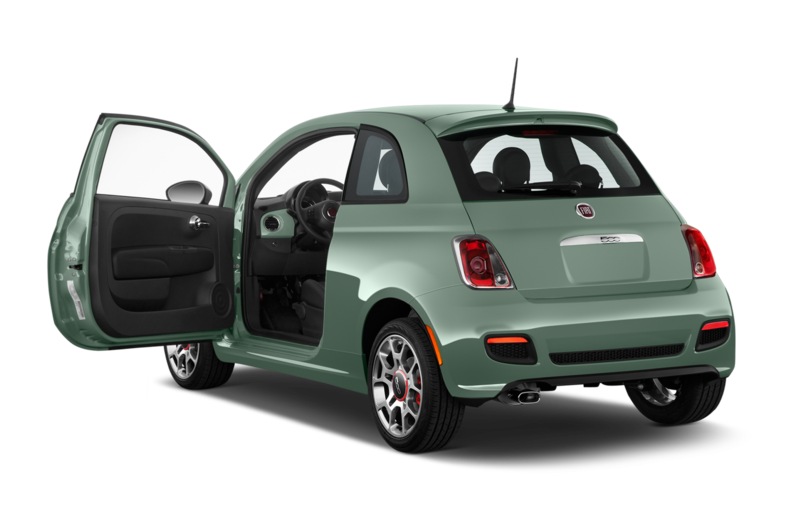 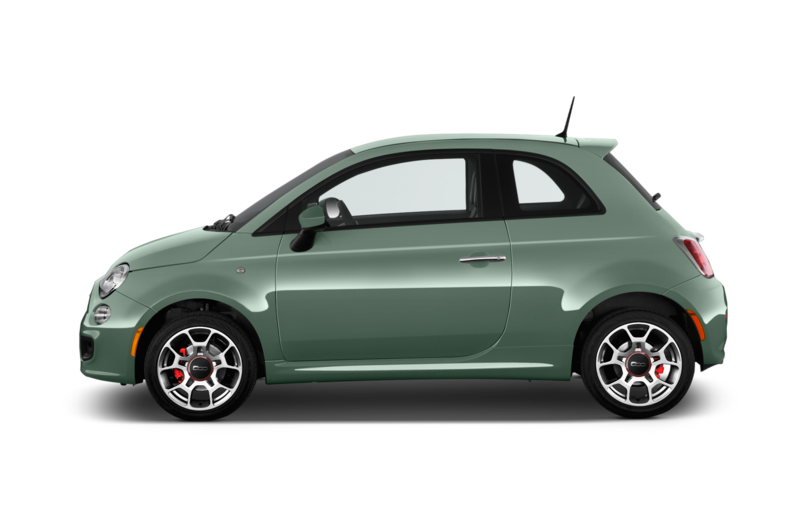 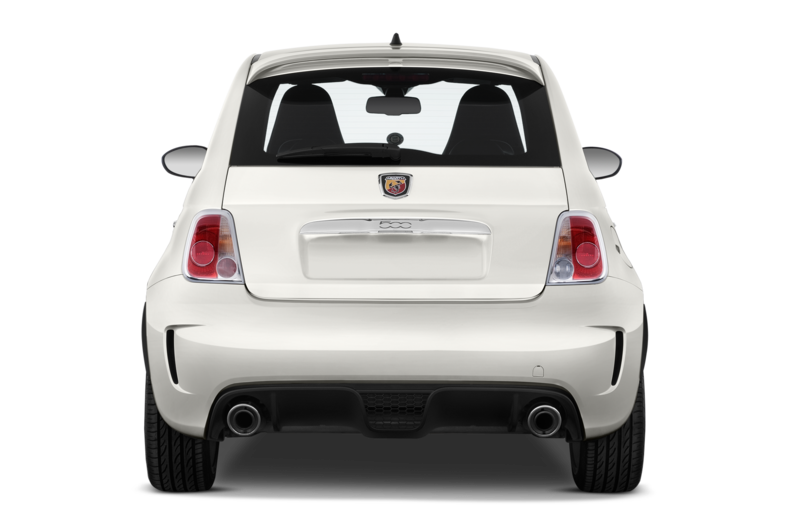 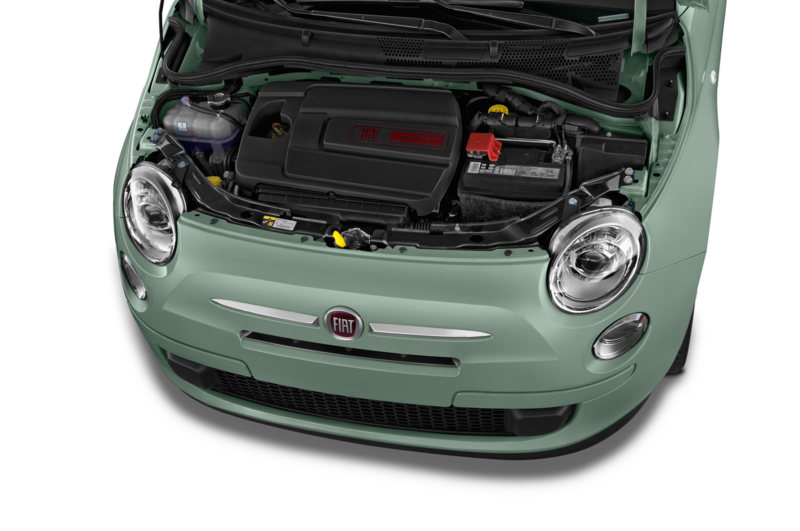 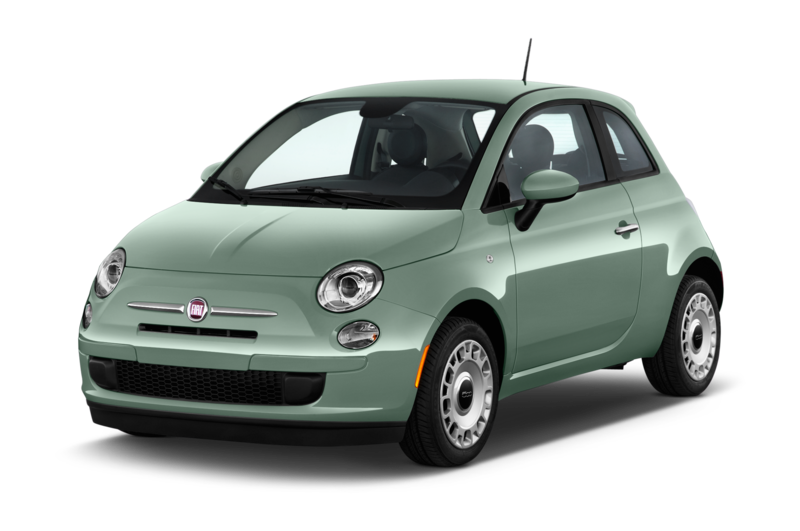 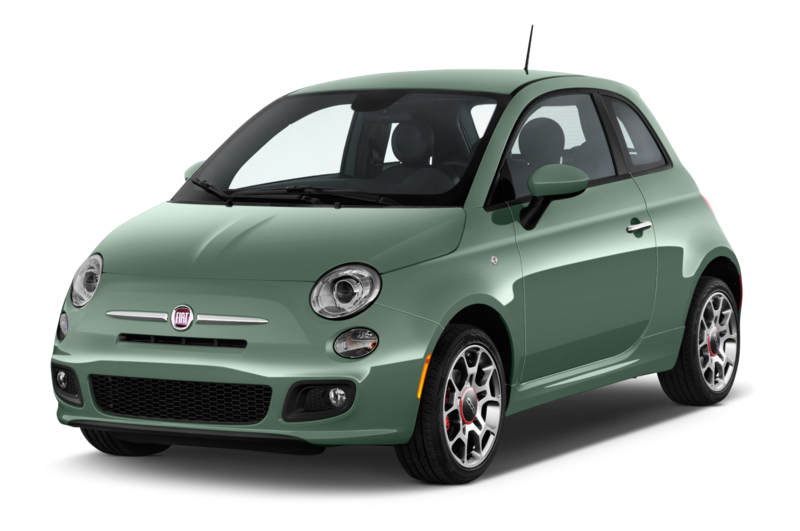 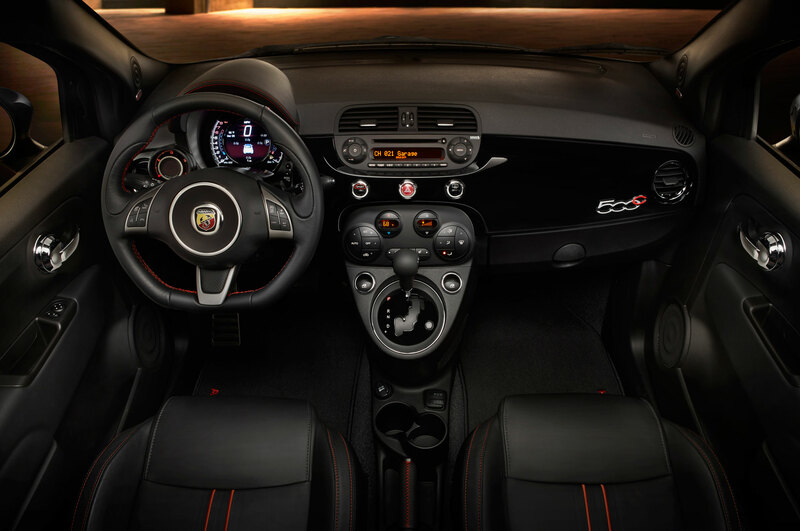 We jab on the grabby brakes and hear the engine rev-match the downshift, toss the hatchback into a corner as the front tires hang on for dear life, and the 2015 Fiat 500 Abarth senses the lateral g’s and holds us in gear. 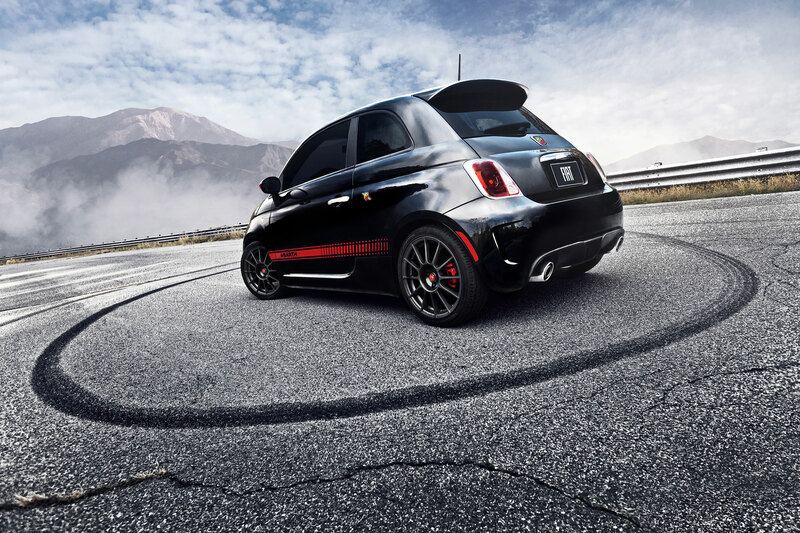 There’s plenty of power on tap from the turbocharged 1.4-liter four-banger and it spits out little bursts of Italian fury as we accelerate out of the corner and hunt for the next apex. 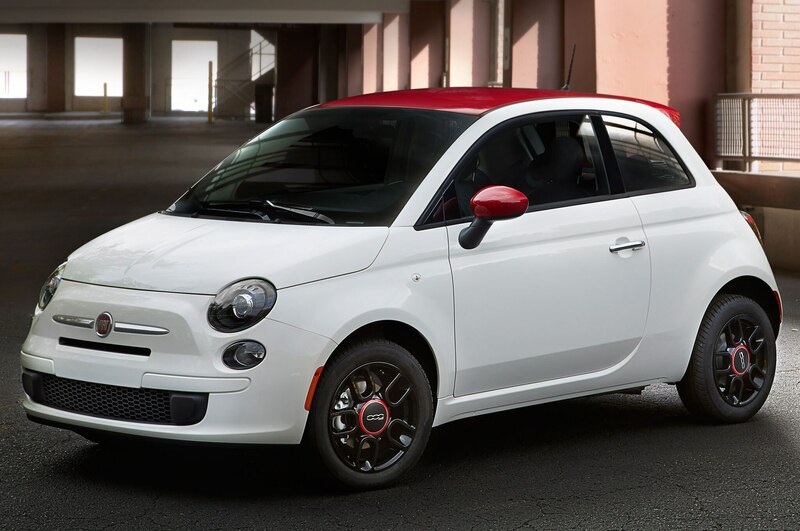 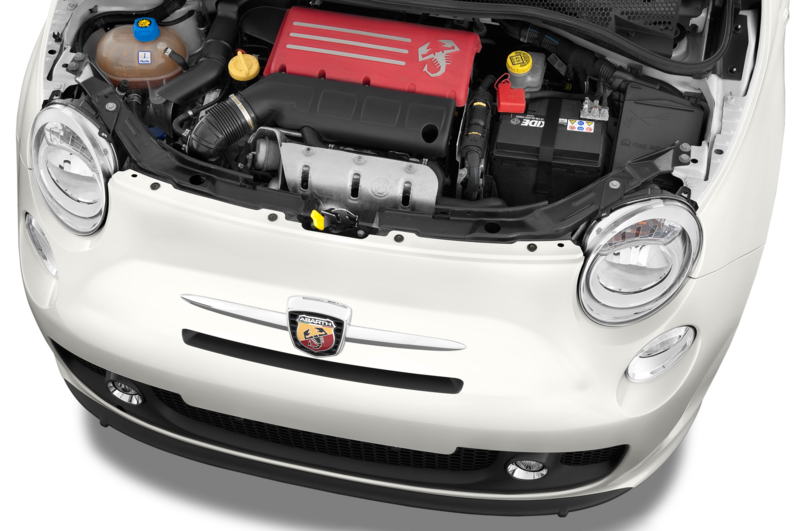 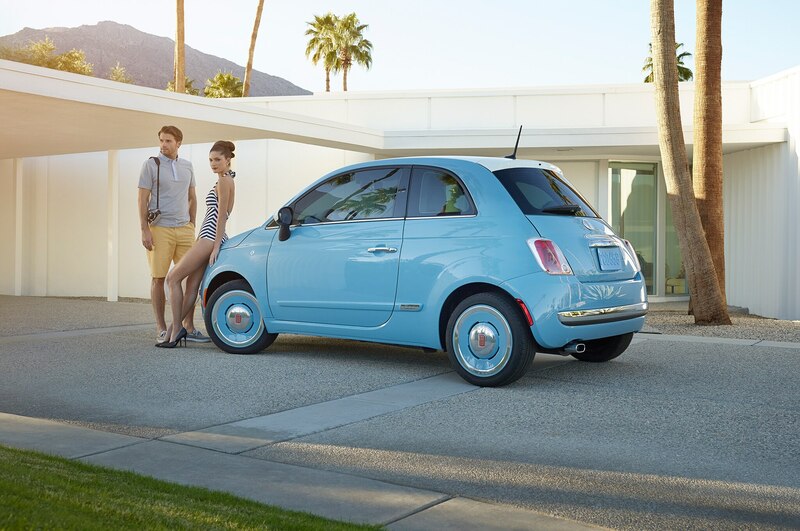 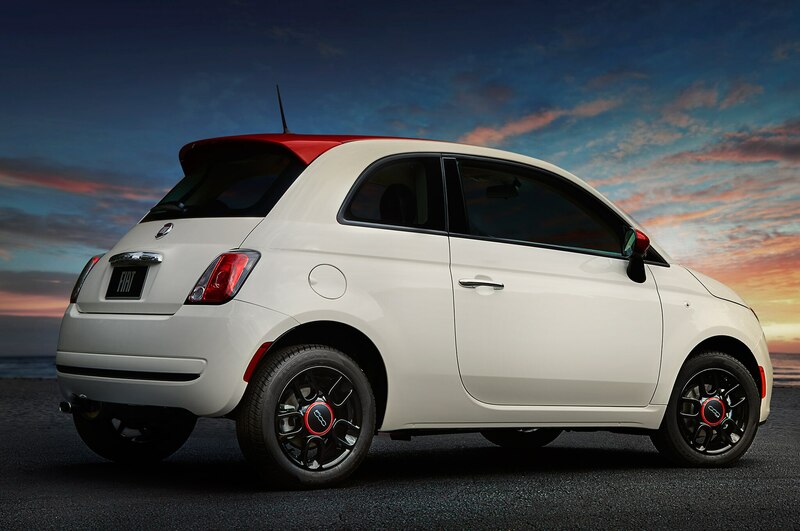 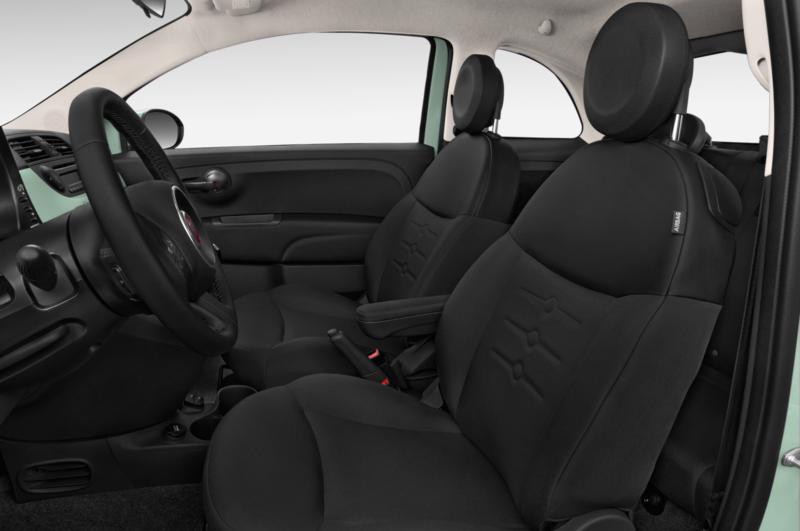 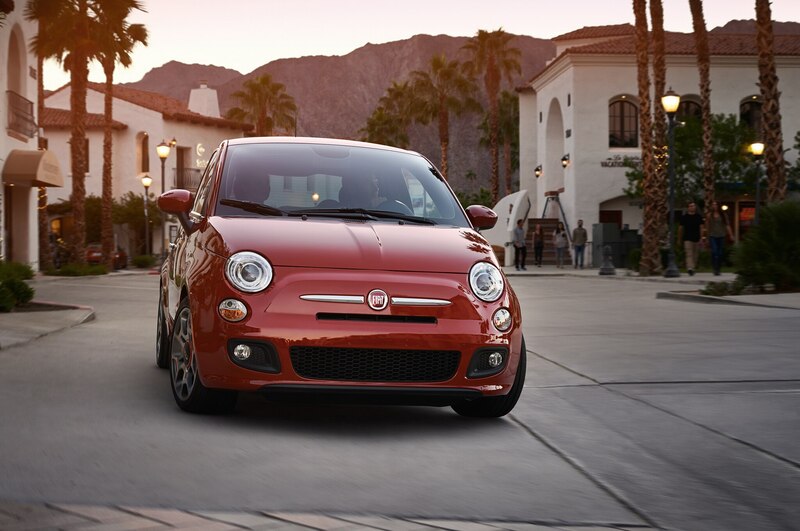 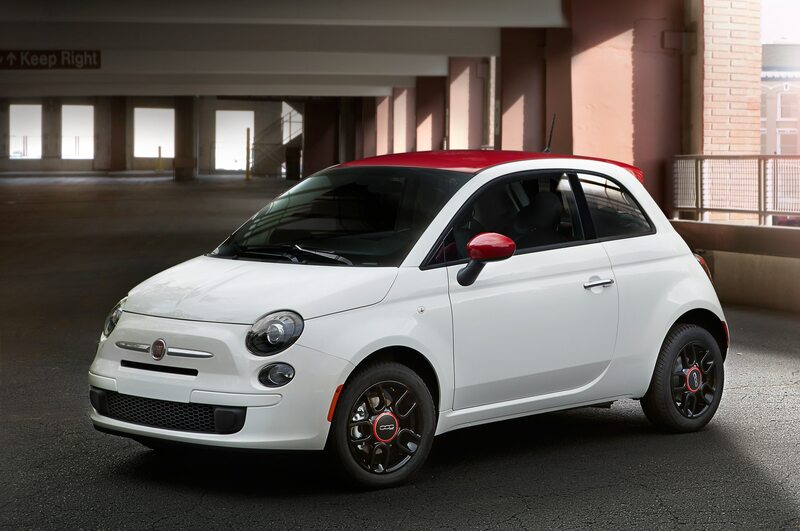 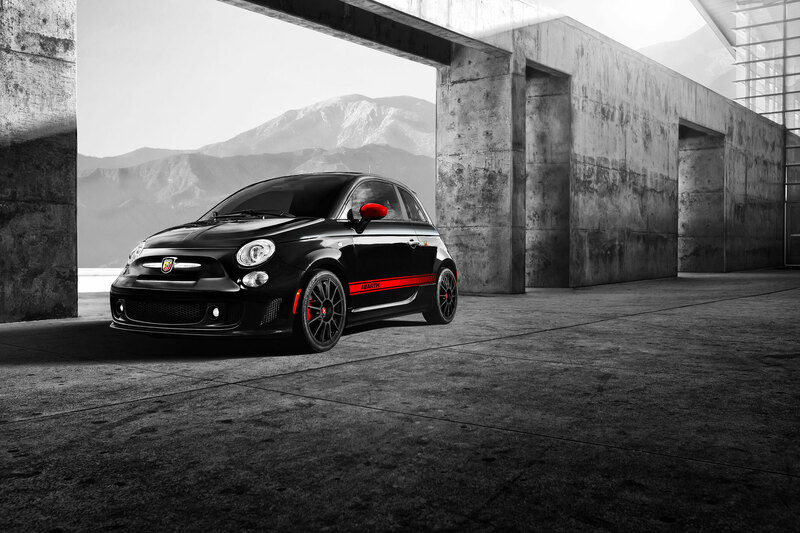 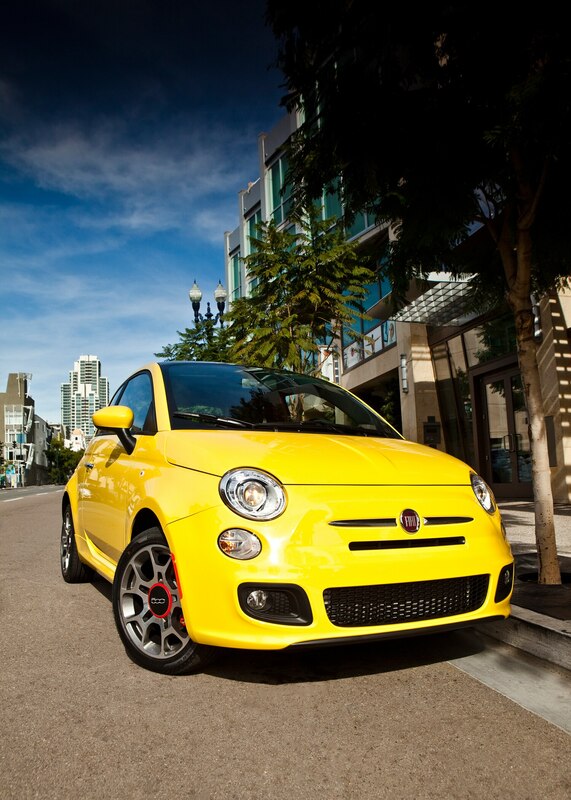 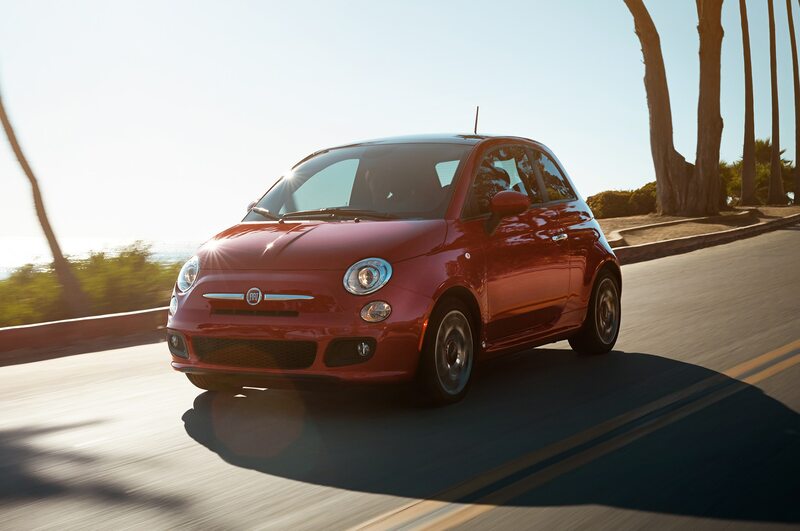 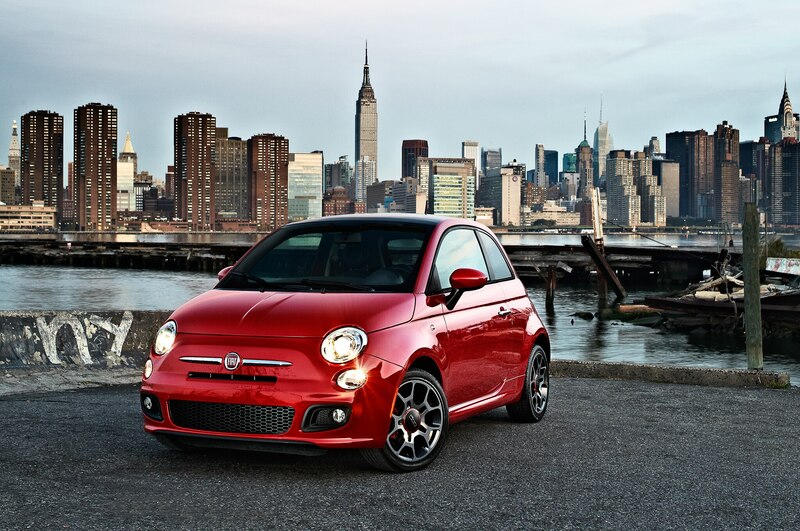 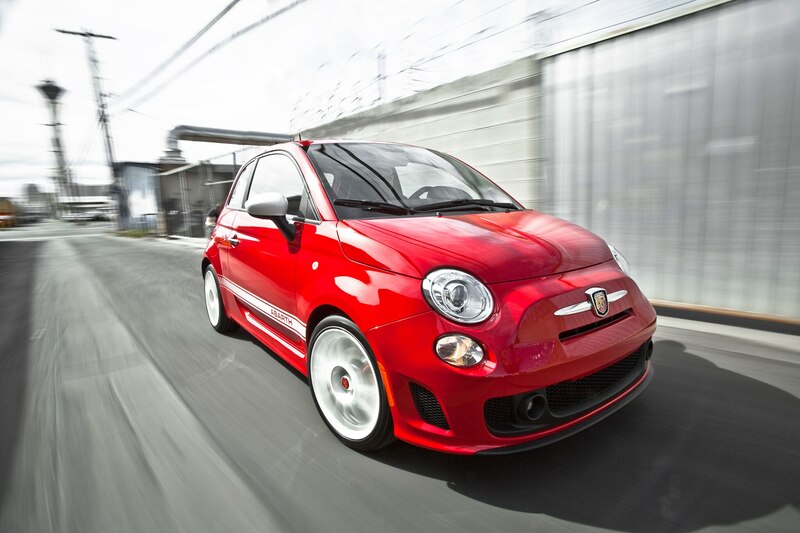 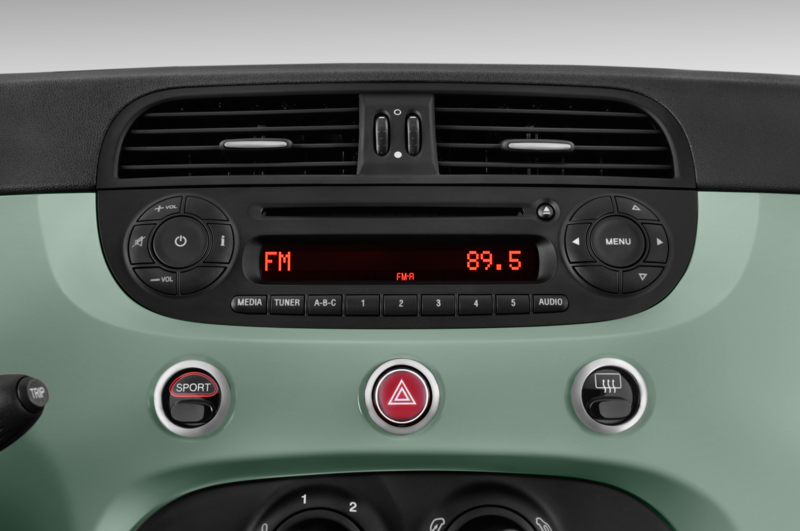 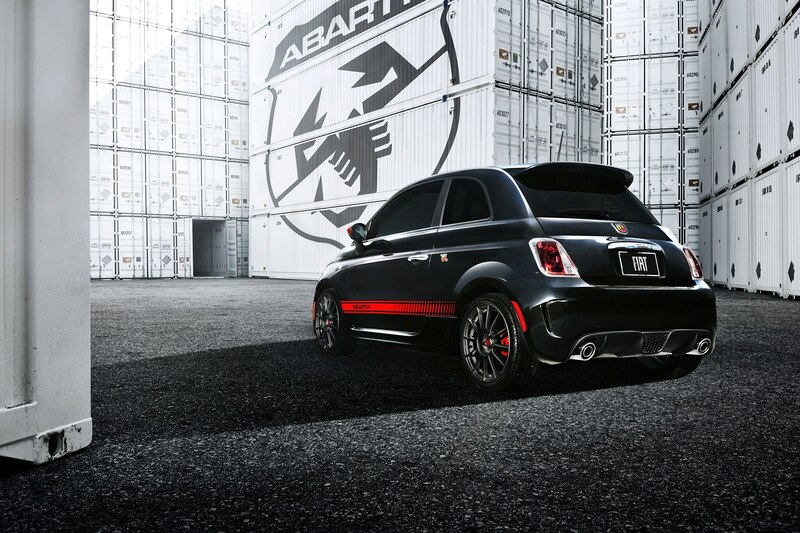 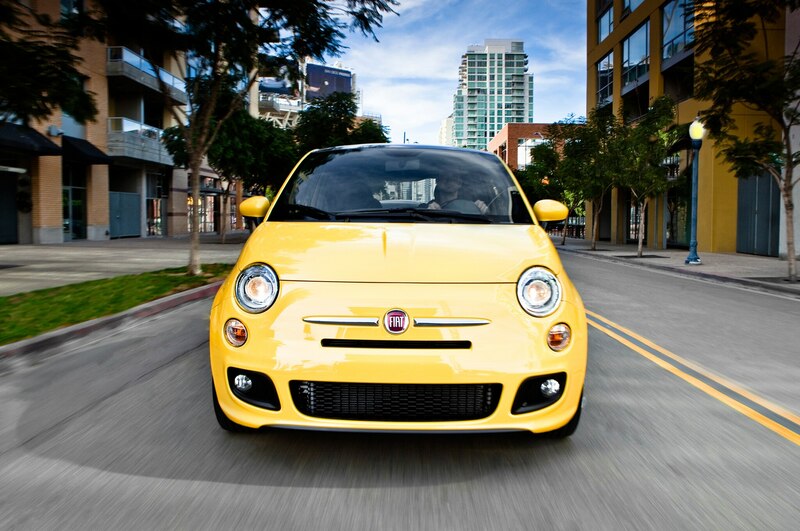 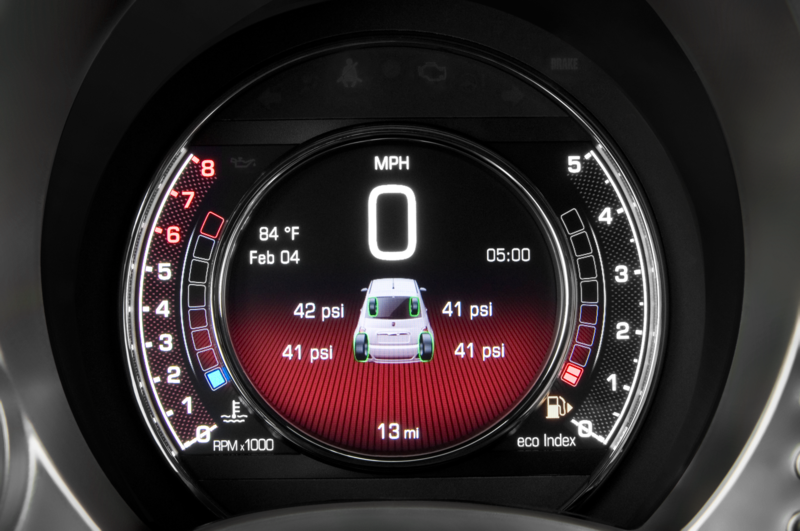 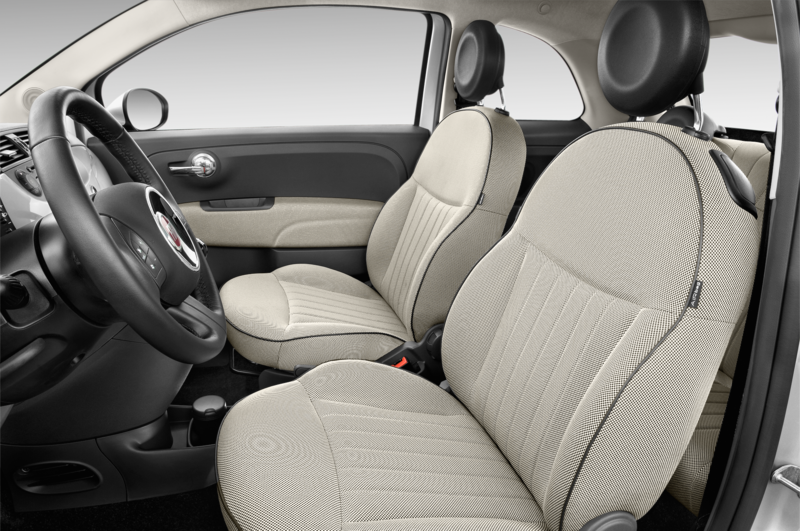 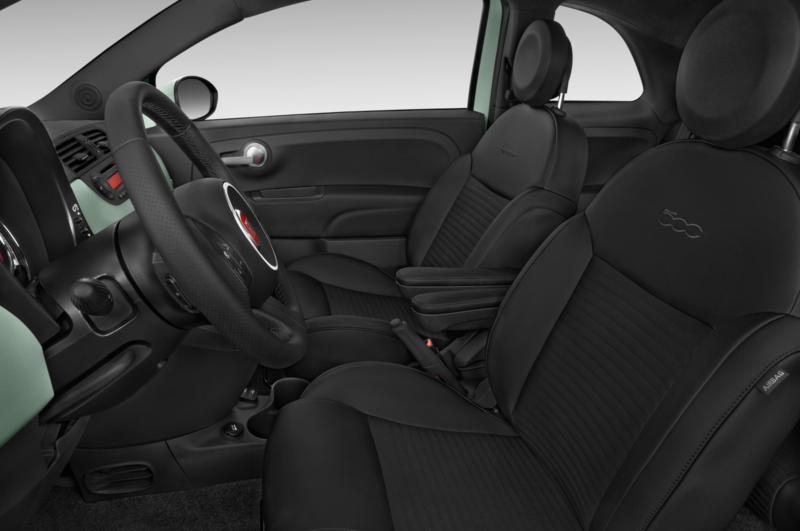 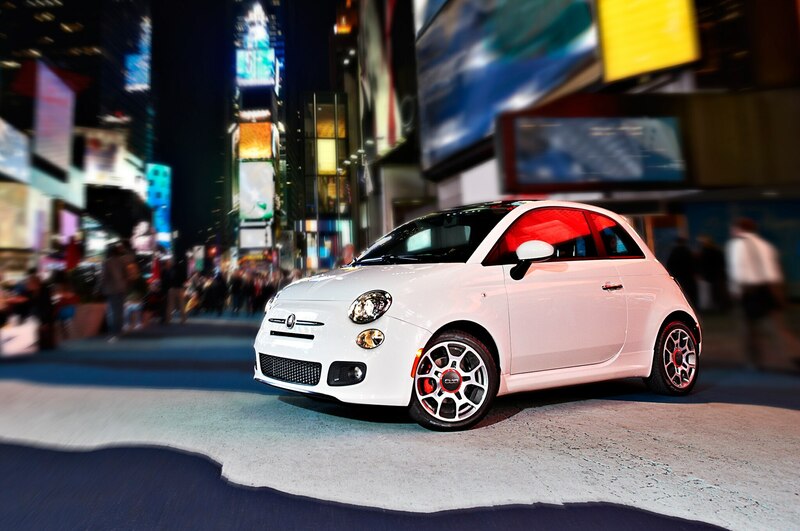 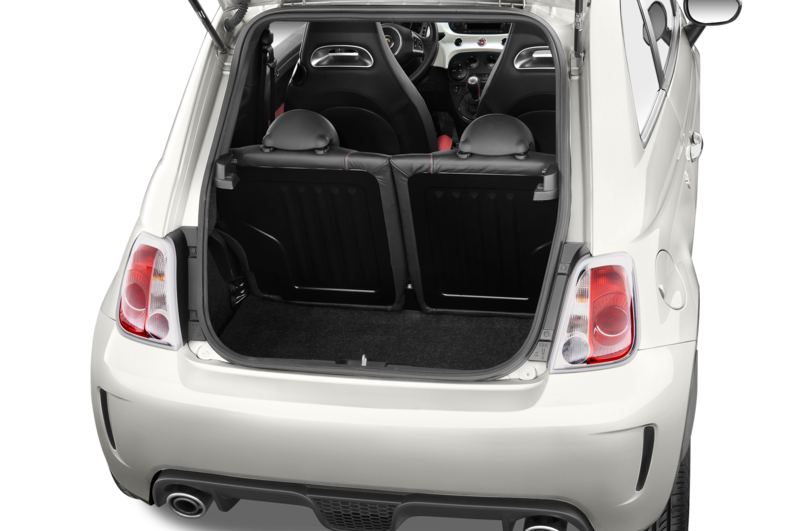 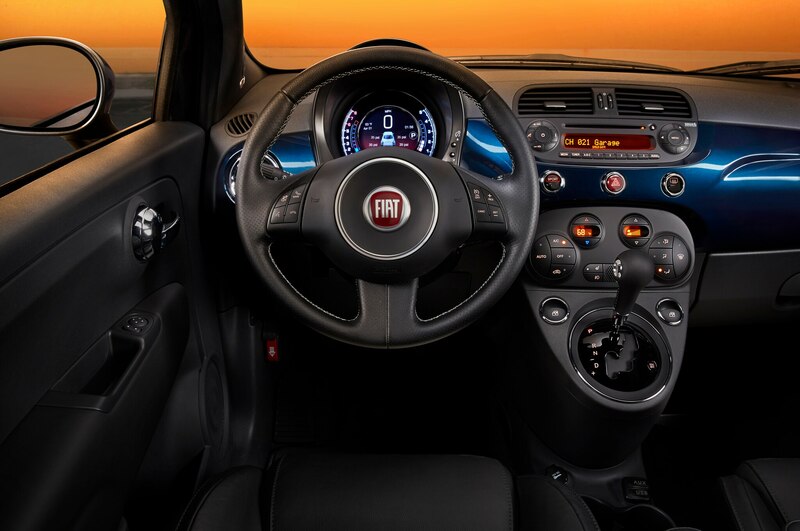 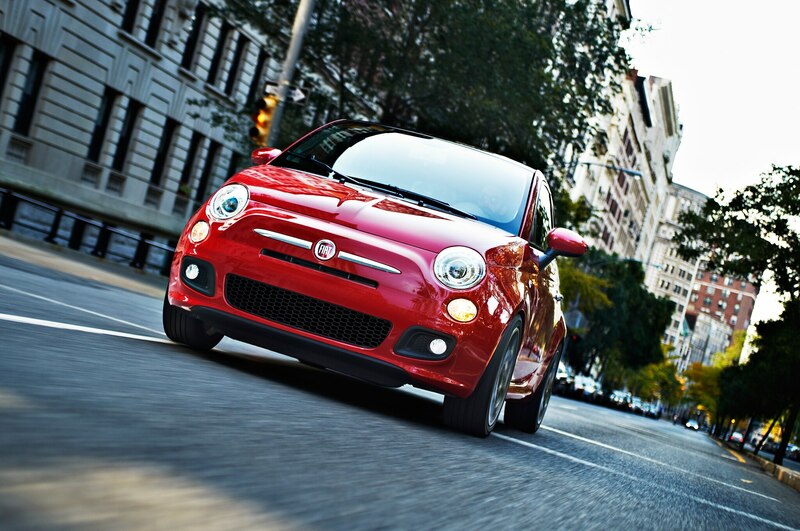 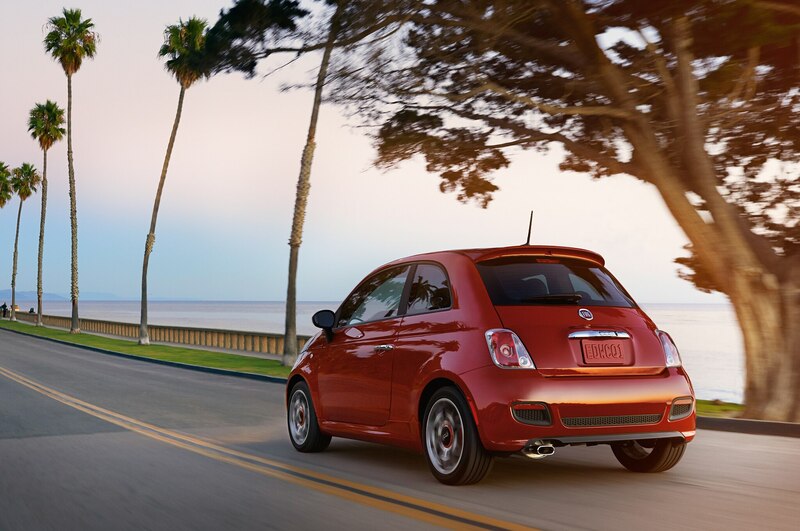 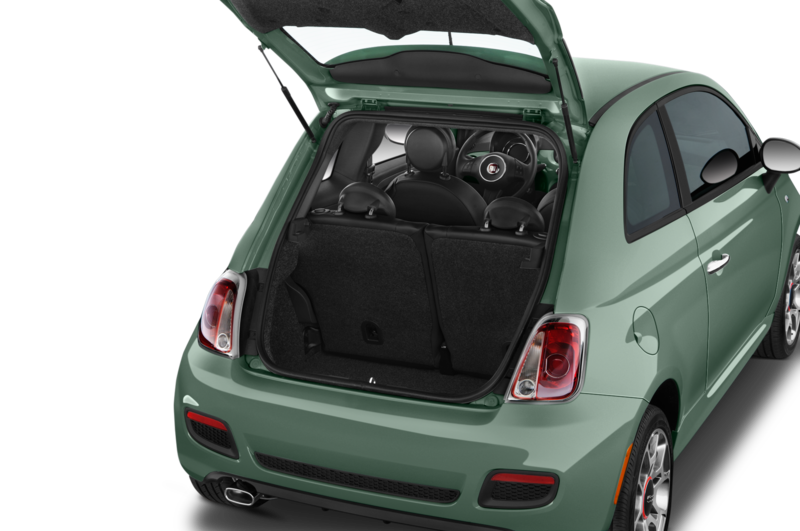 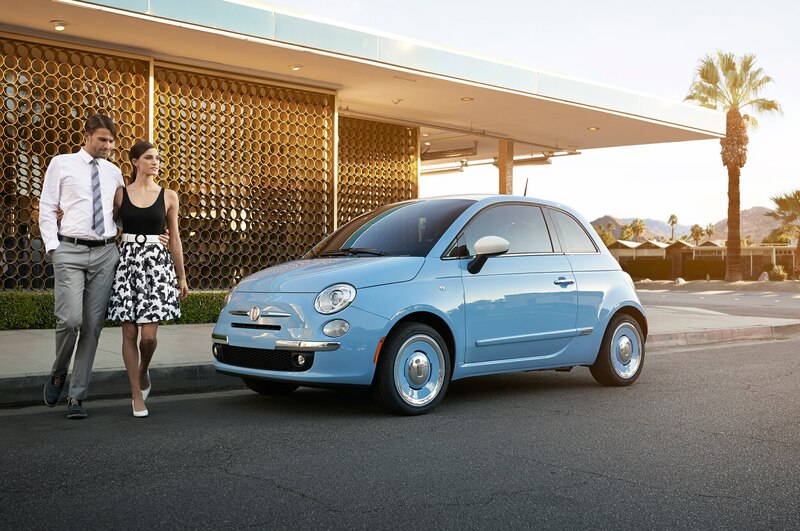 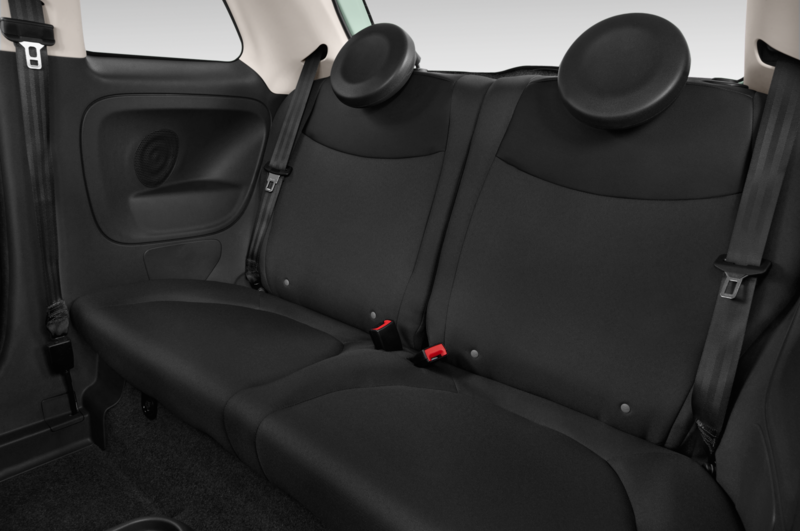 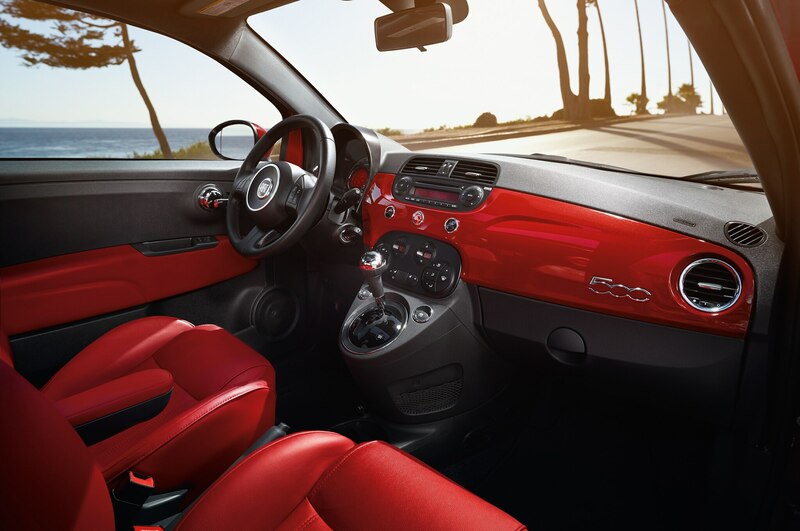 In short, the 2015 Fiat 500 Abarth is a boatload of fun whether you row your own gears or not. 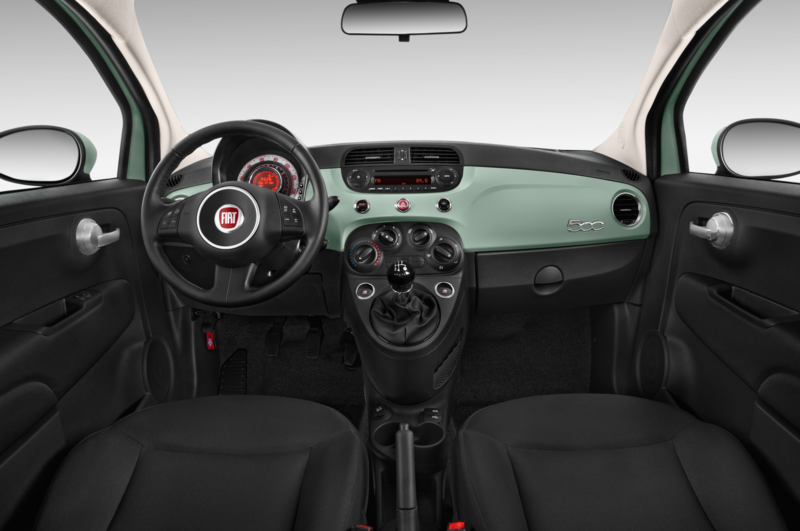 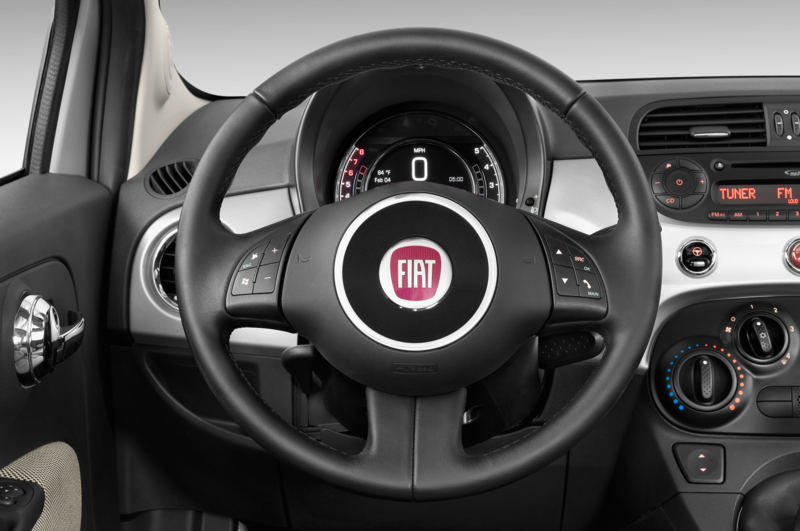 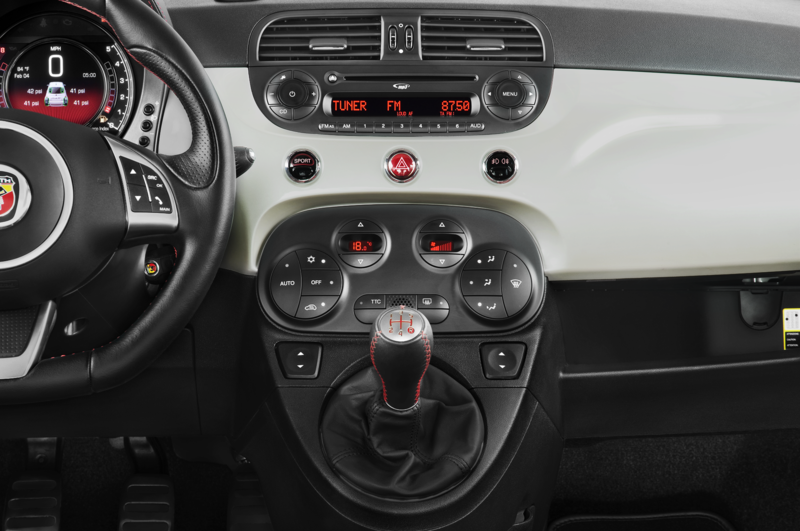 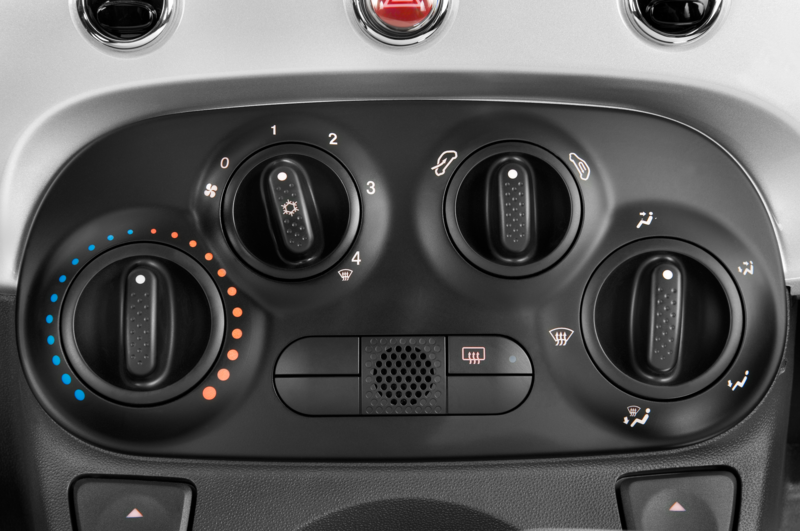 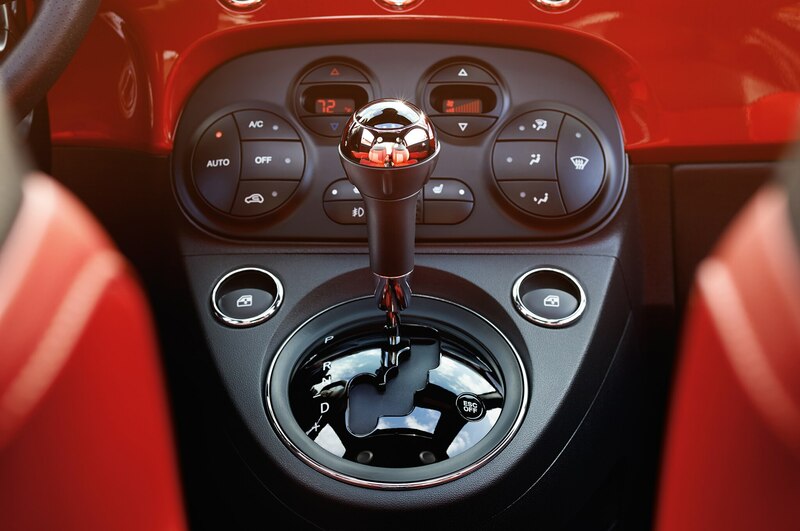 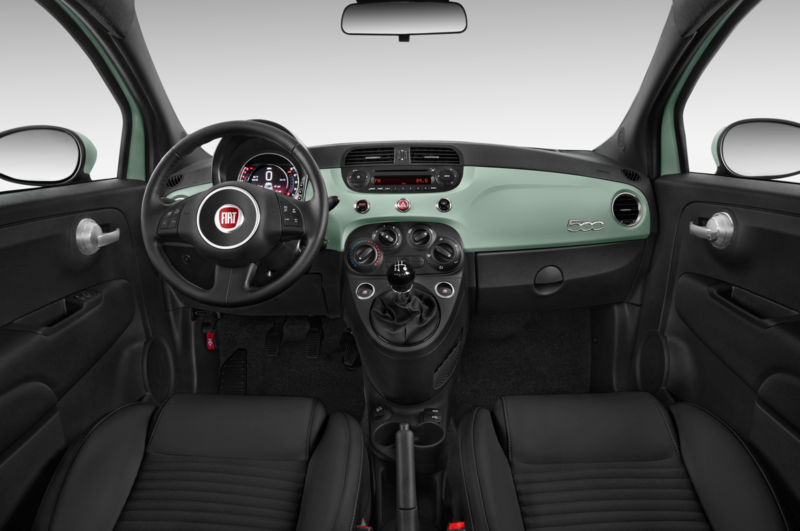 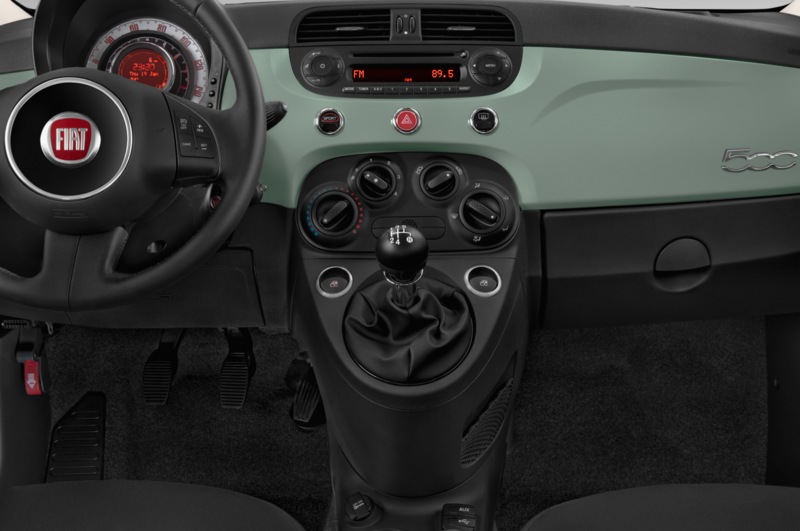 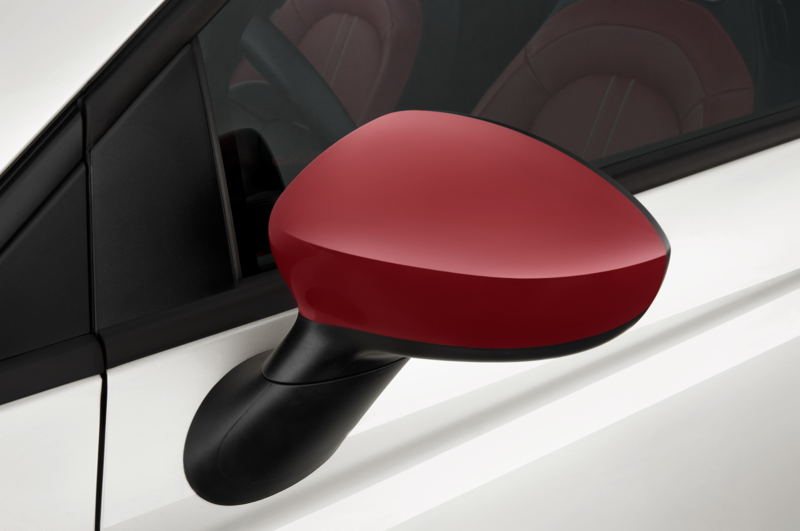 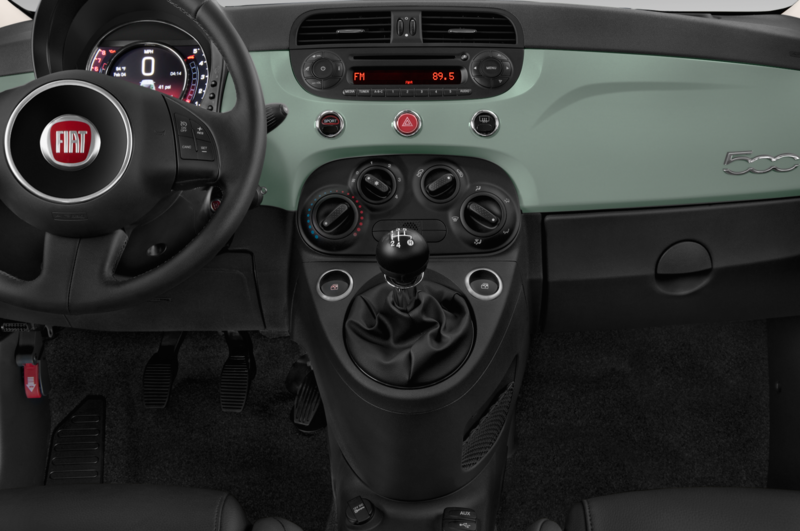 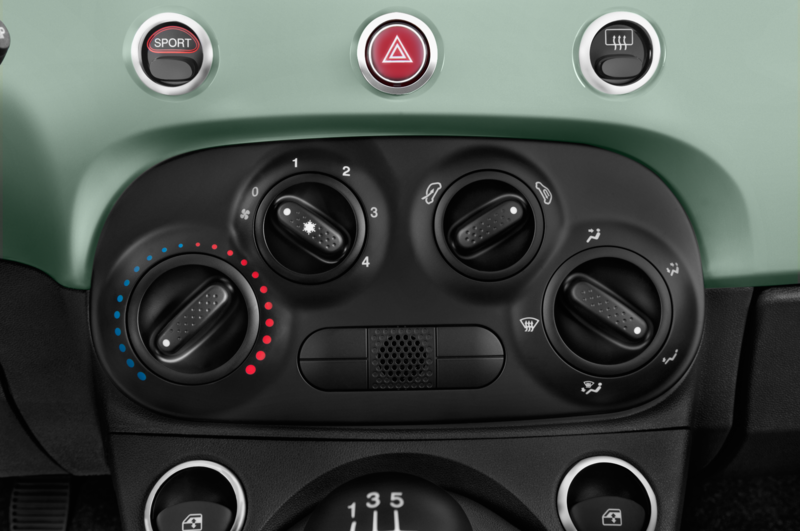 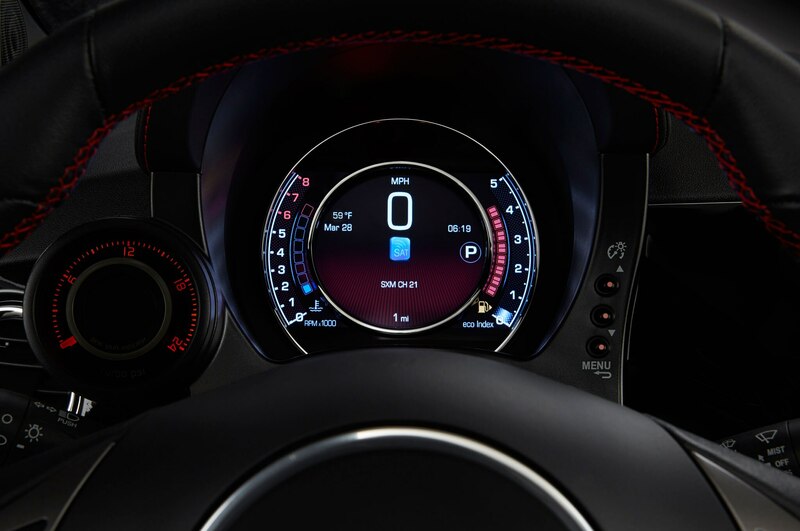 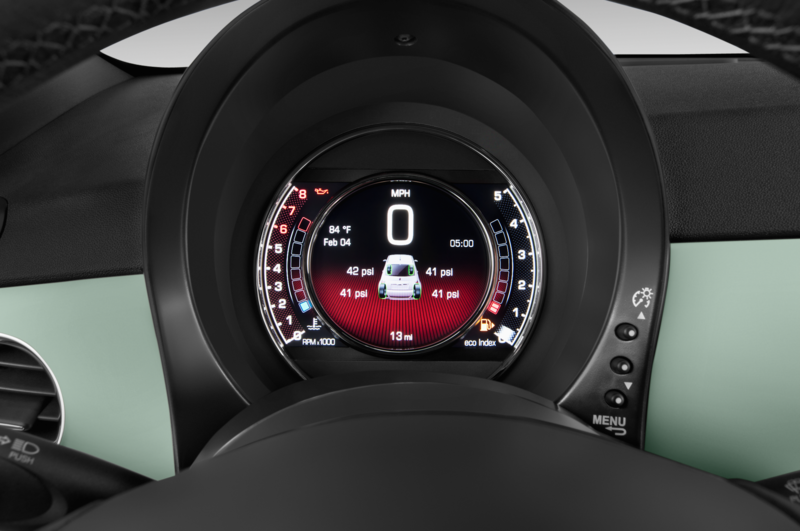 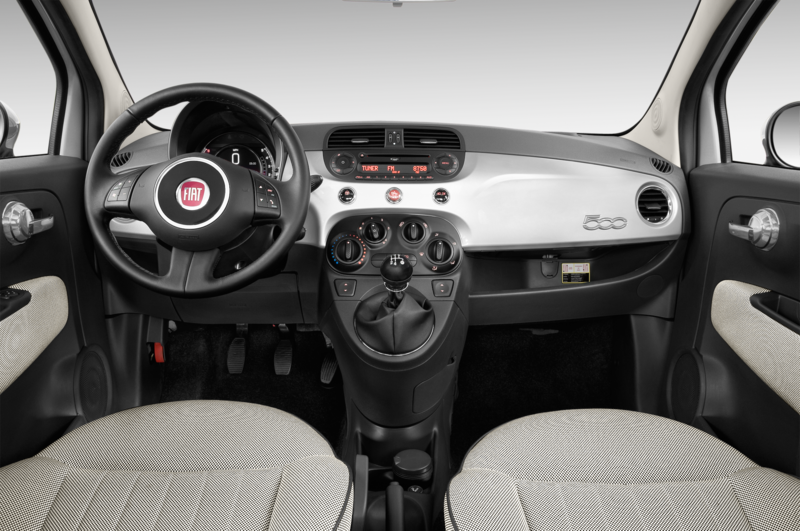 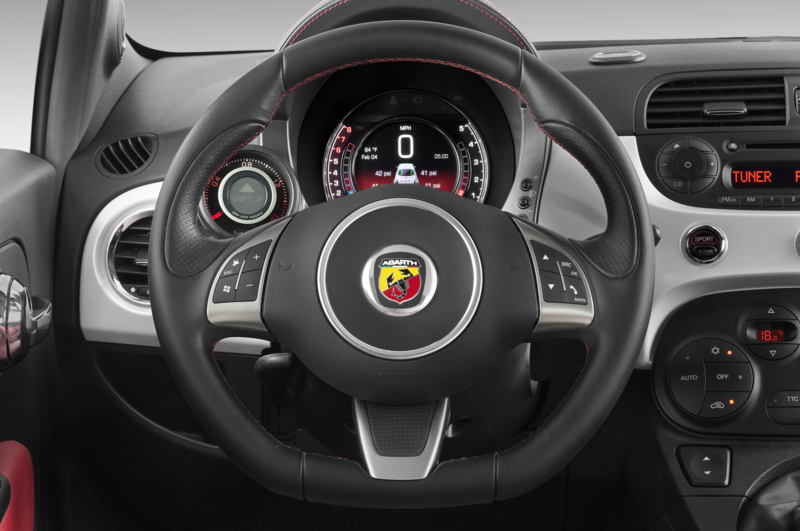 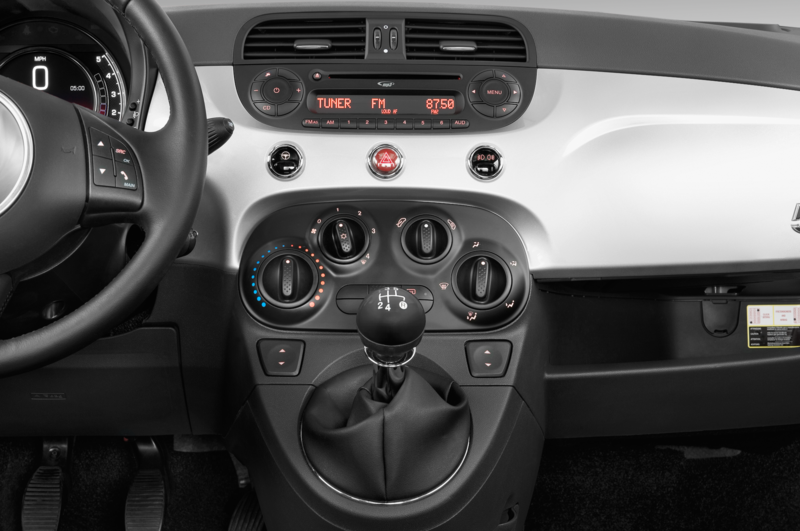 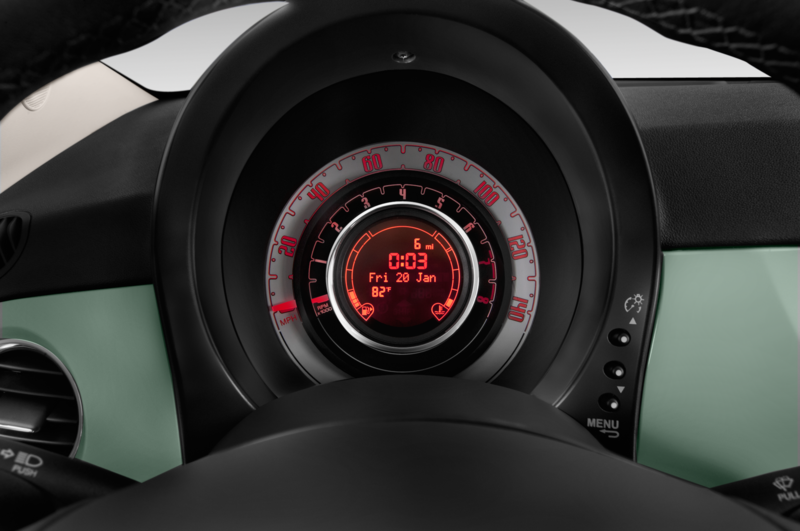 In fact the automatic Abarth is even a bit more comfortable to drive, because we don’t have sit so close to the controls to fully engage the clutch and constantly deal with the manual transmission’s awkwardly placed shift lever. 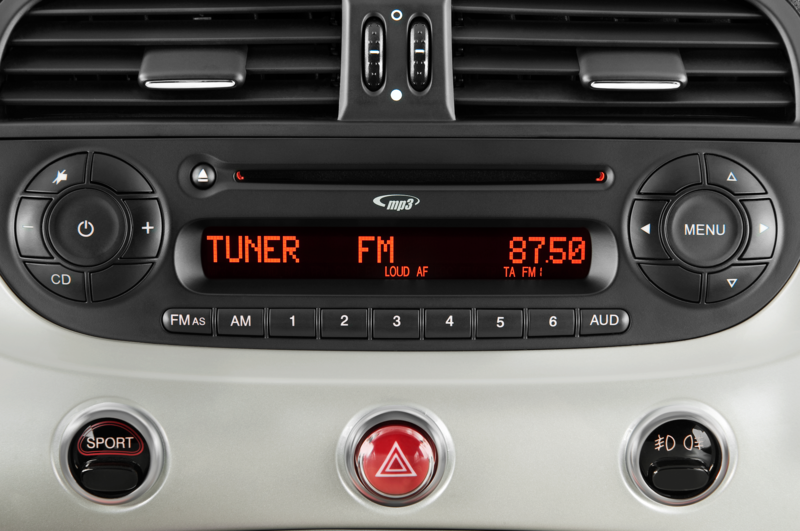 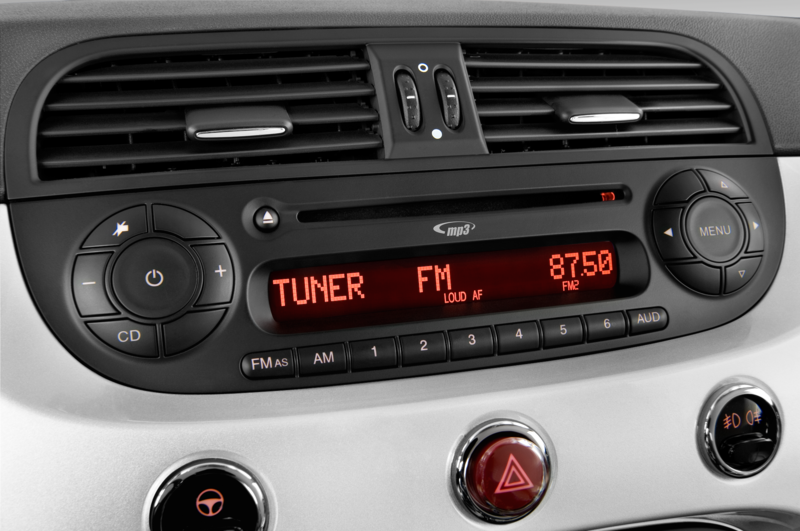 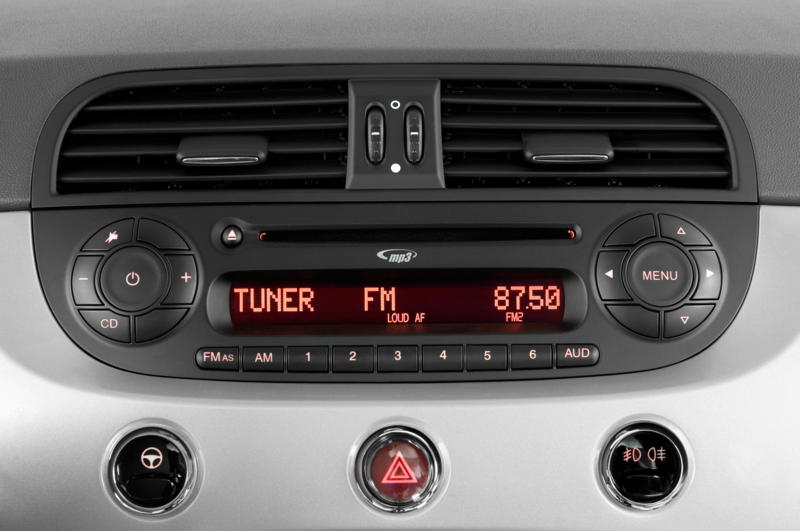 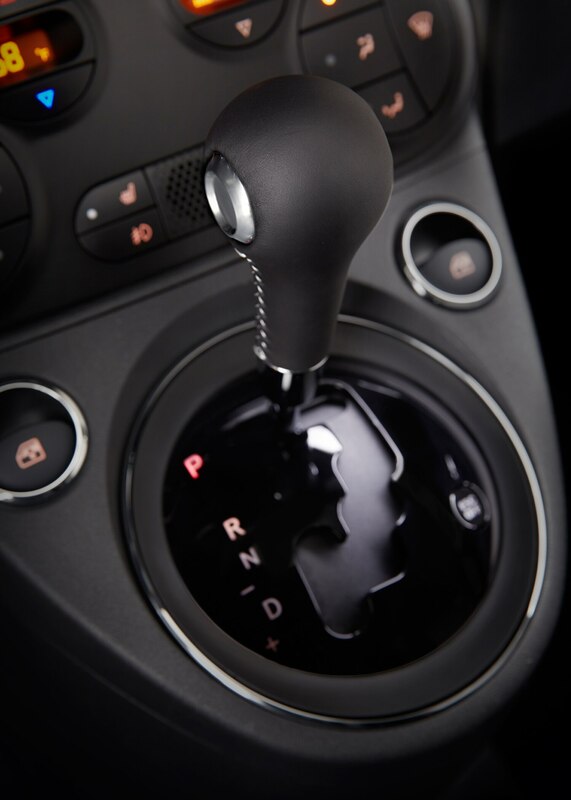 Considering how much convenience is gained with what is really an impressive and versatile automatic transmission, you don’t lose much enjoyment. 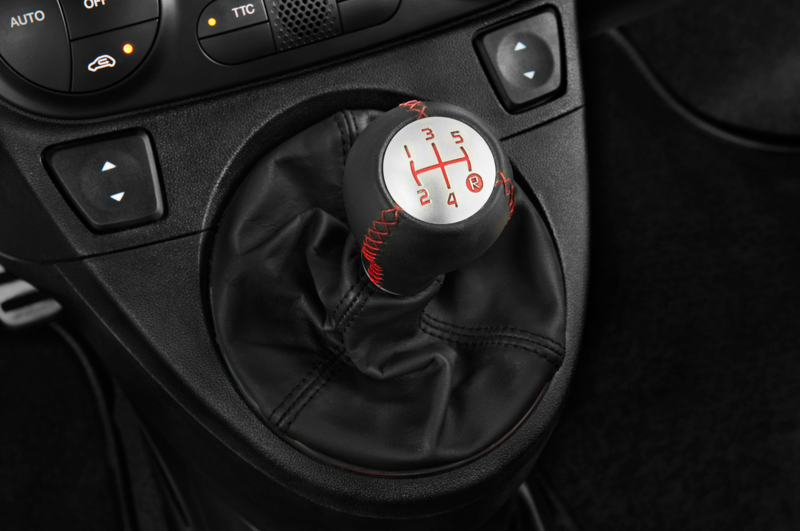 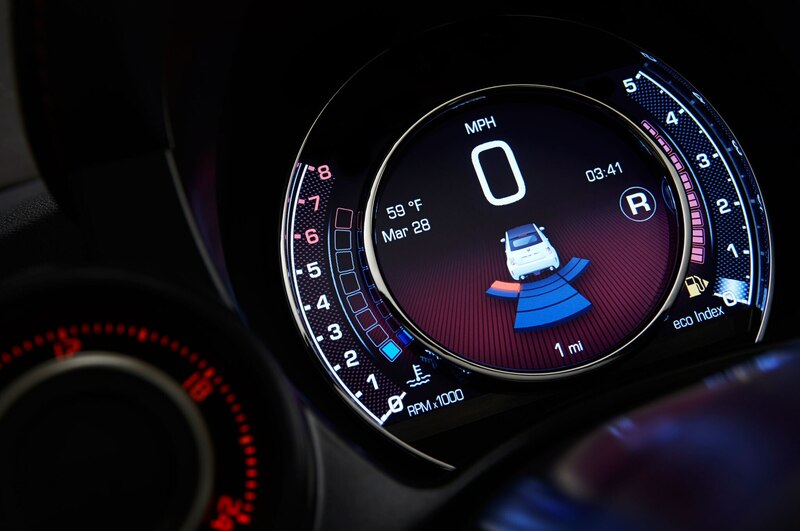 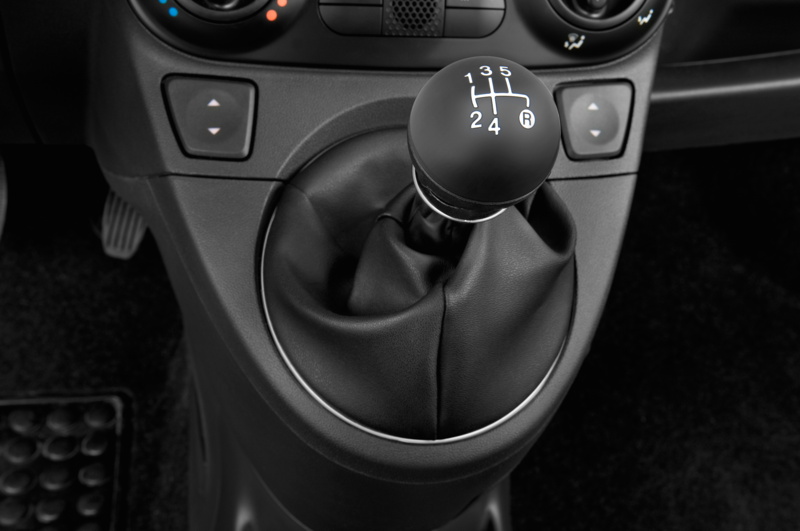 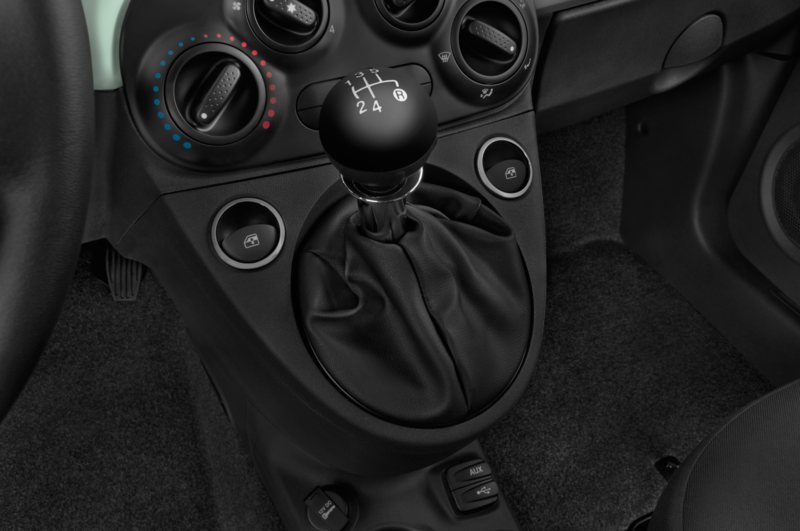 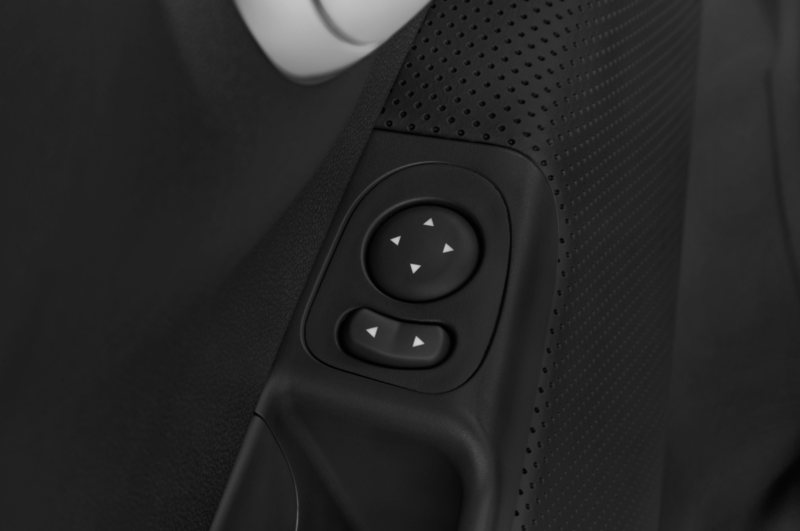 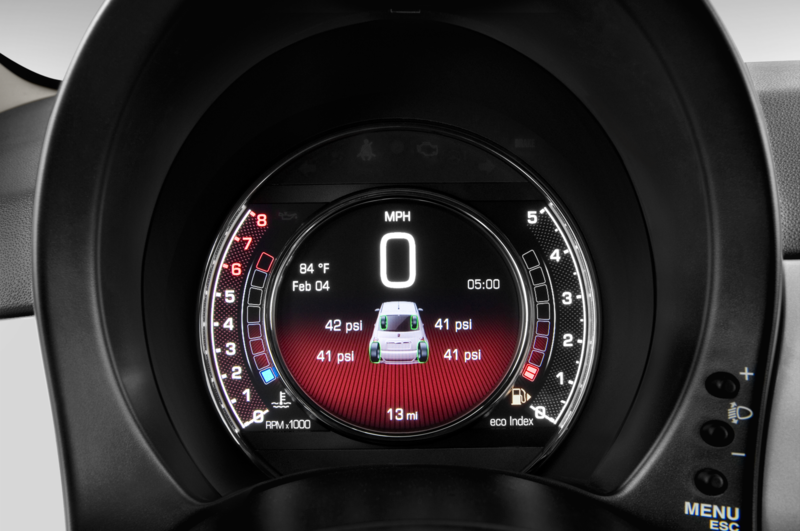 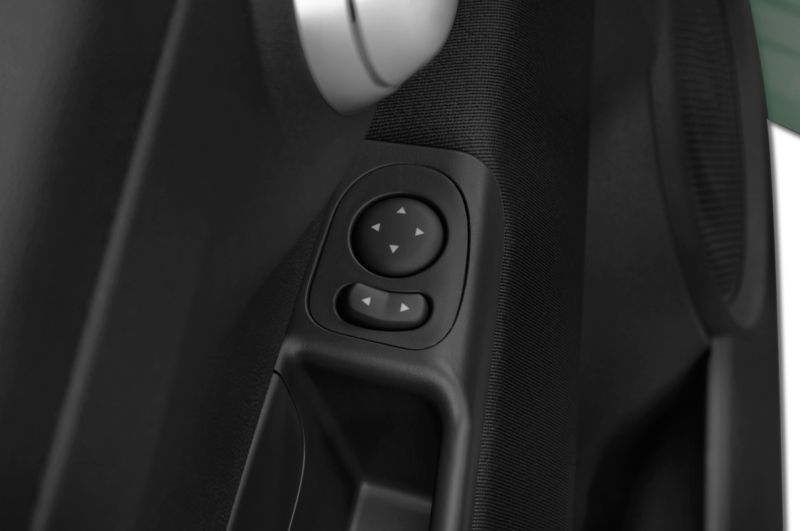 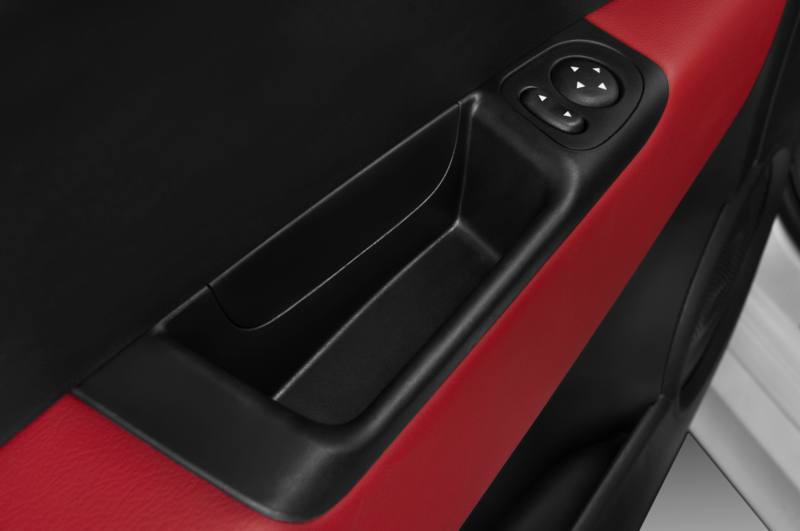 Shift paddles would even further enhance the sporting experience in manual-shift mode, though. 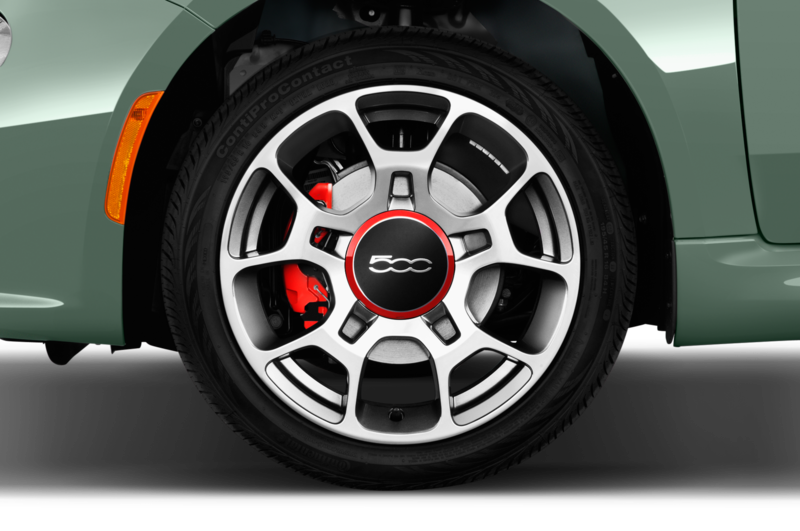 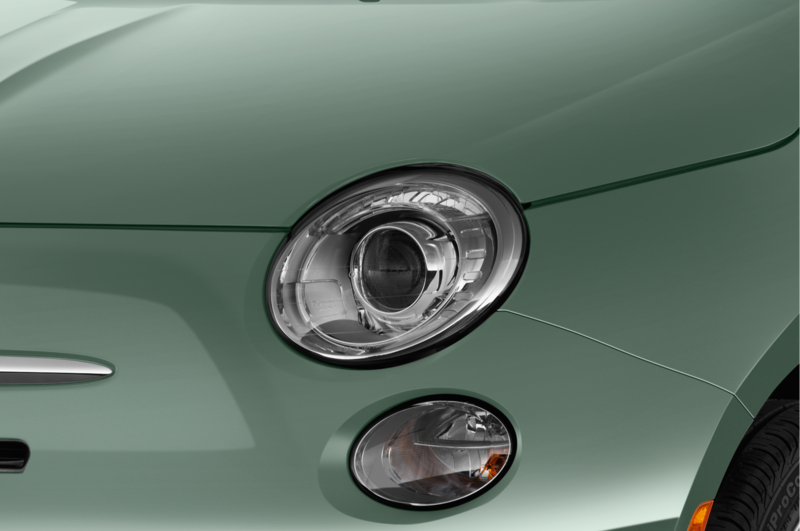 Back in line, we’re craning our neck for a closer look at the sign-up sheet for the 2015 Alfa 4C. 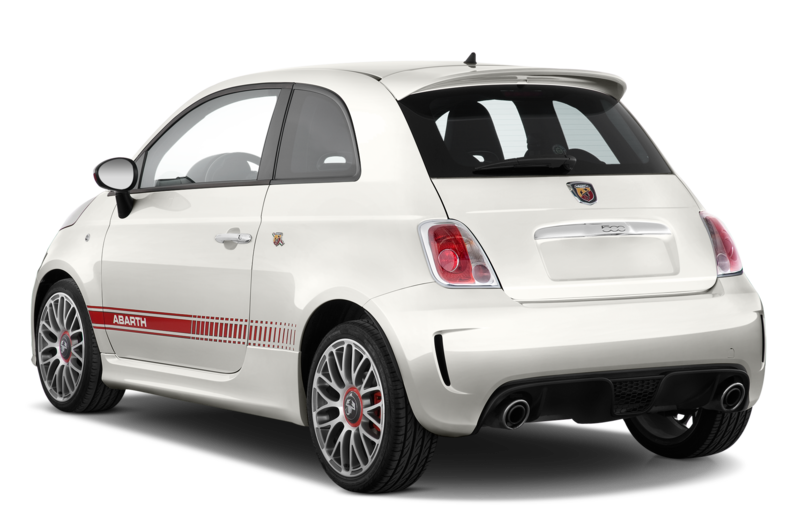 There are still four people ahead of us, so there’s plenty of time for another run or two in the Abarth. 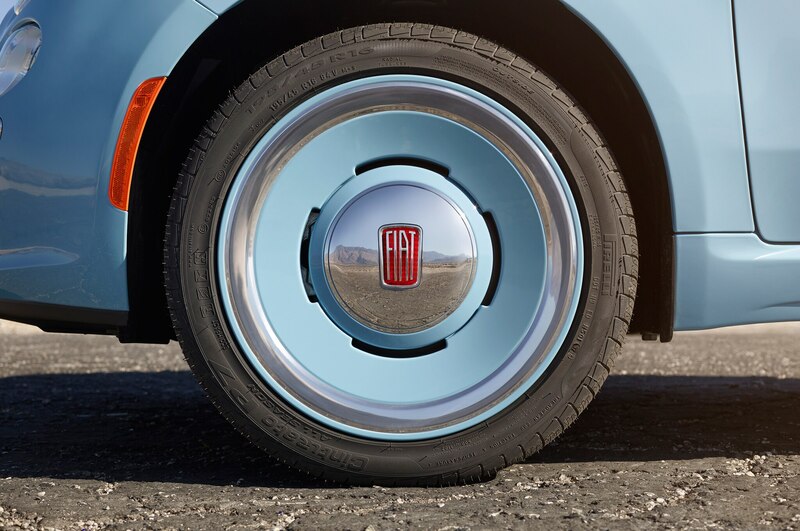 Jackpot. 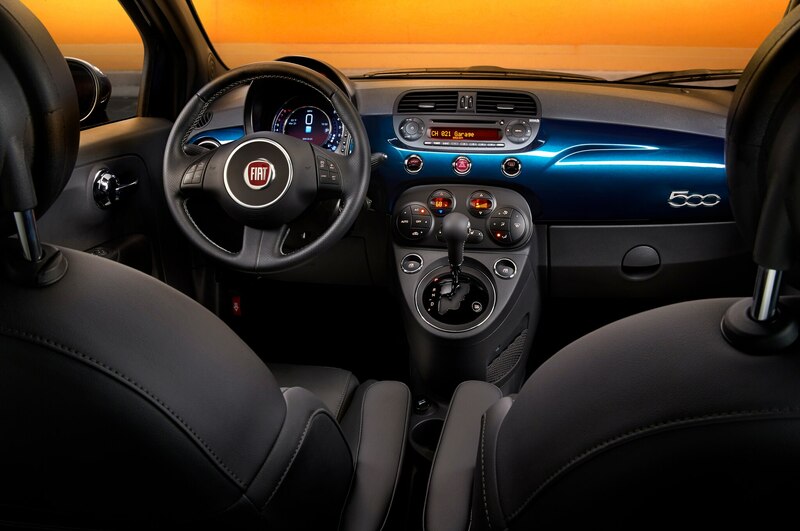 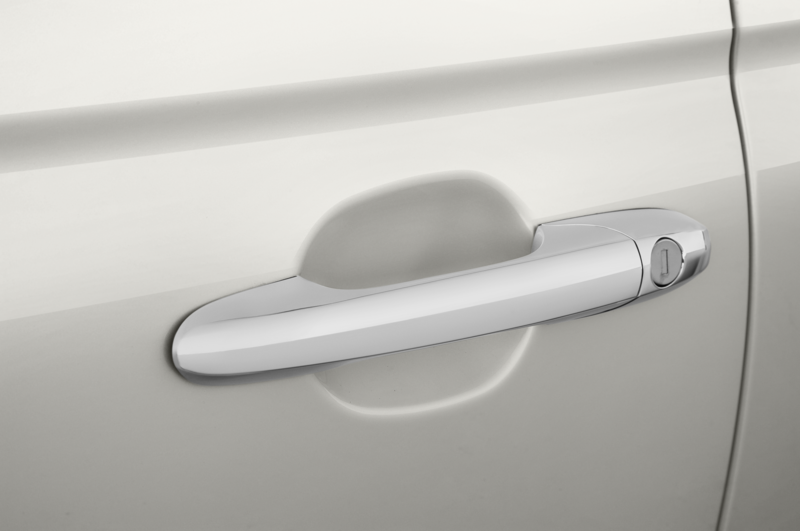 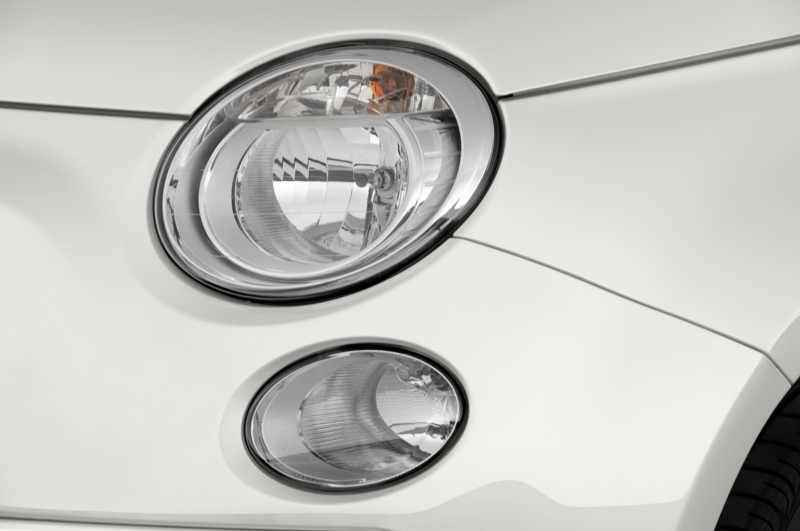 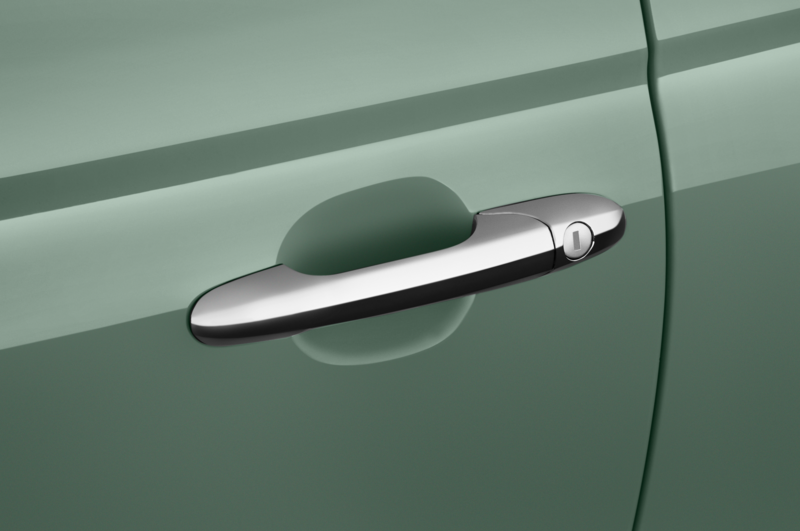 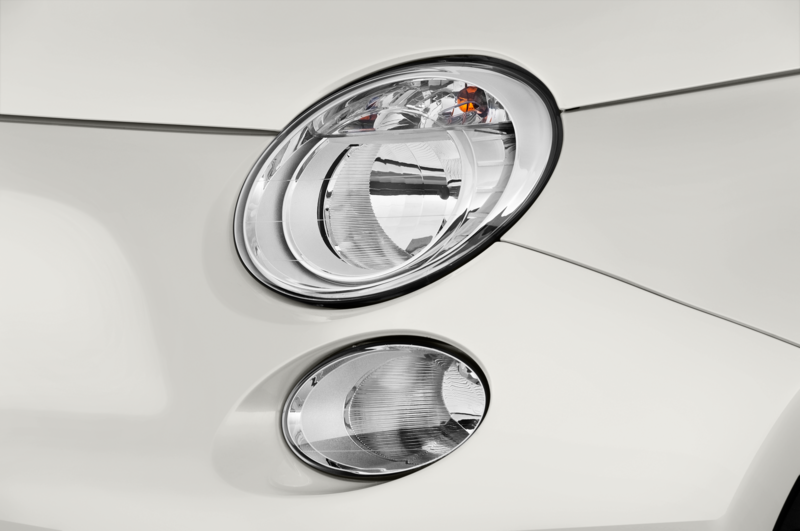 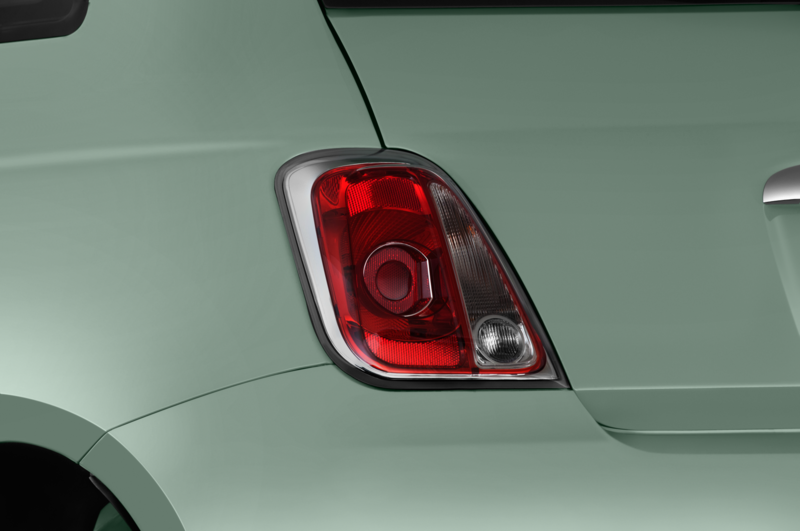 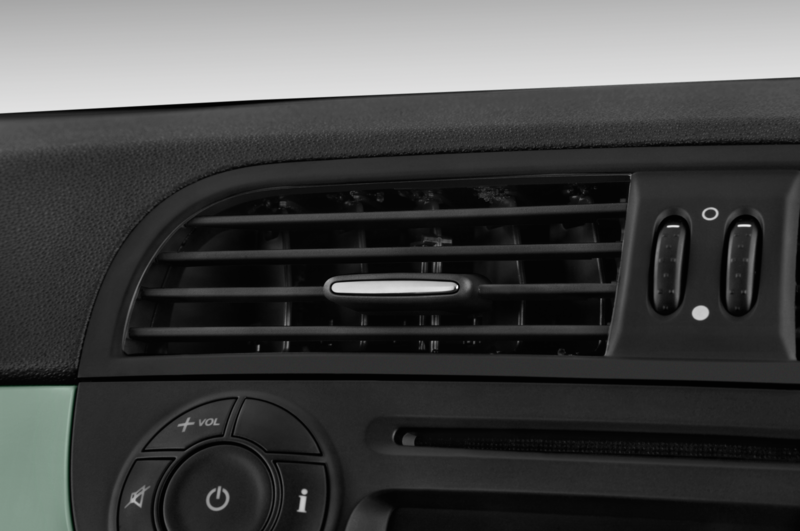 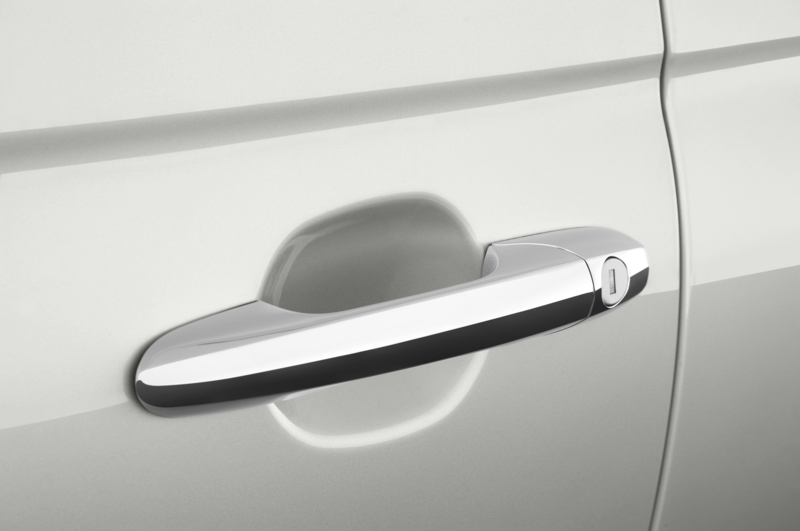 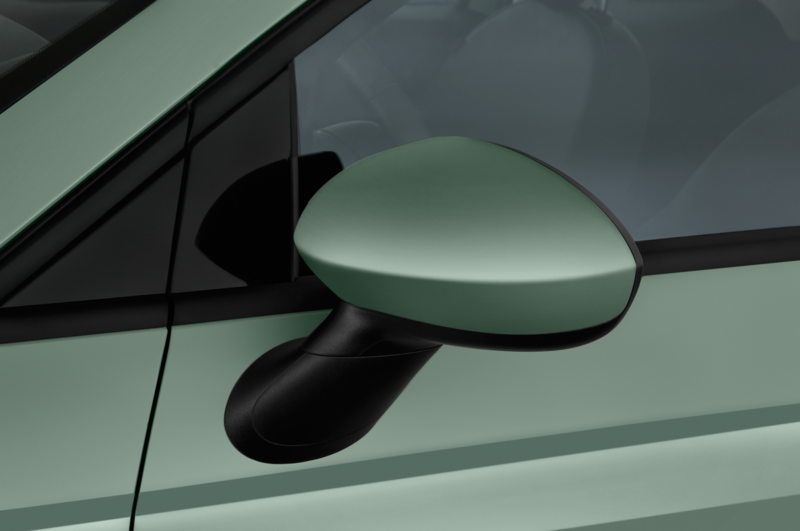 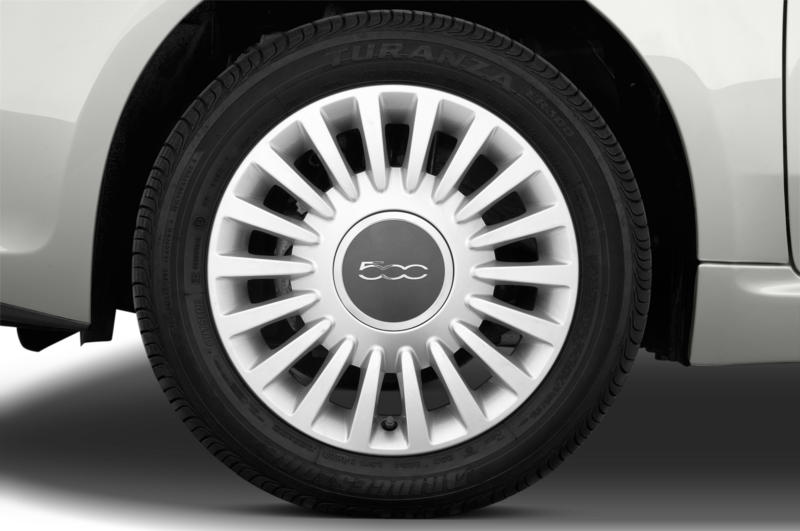 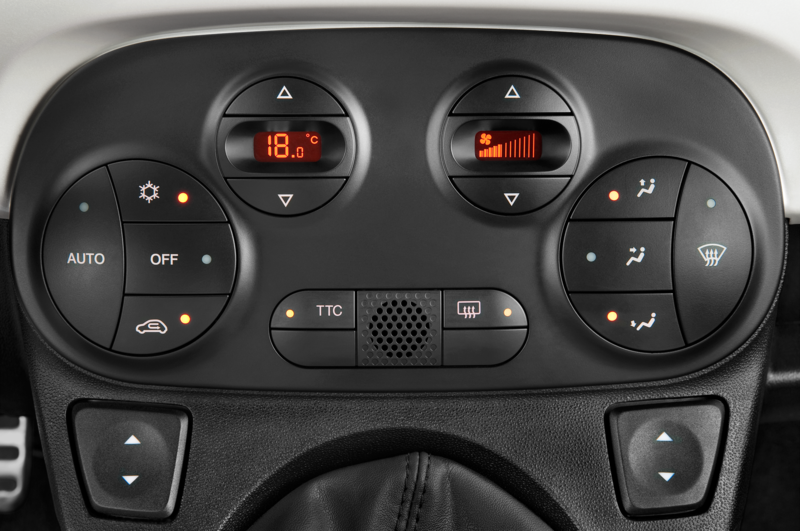 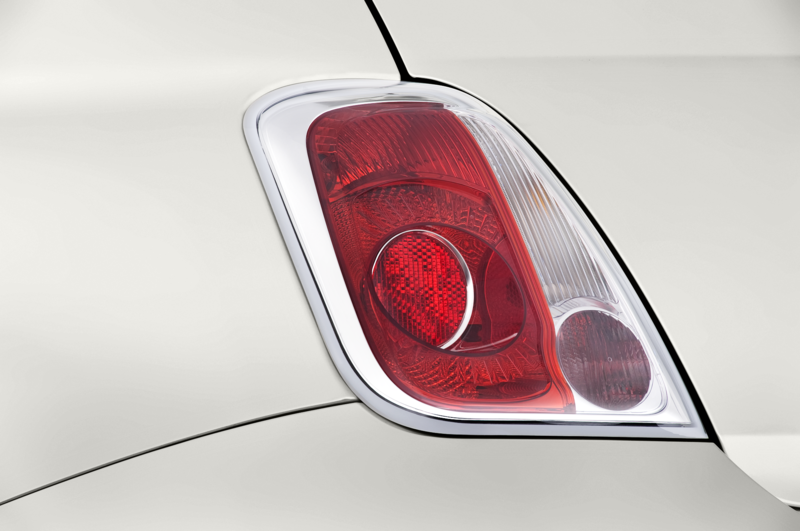 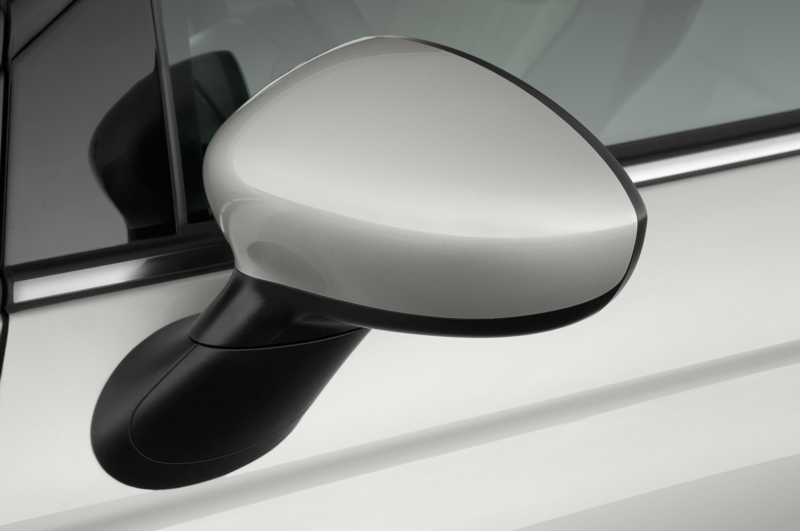 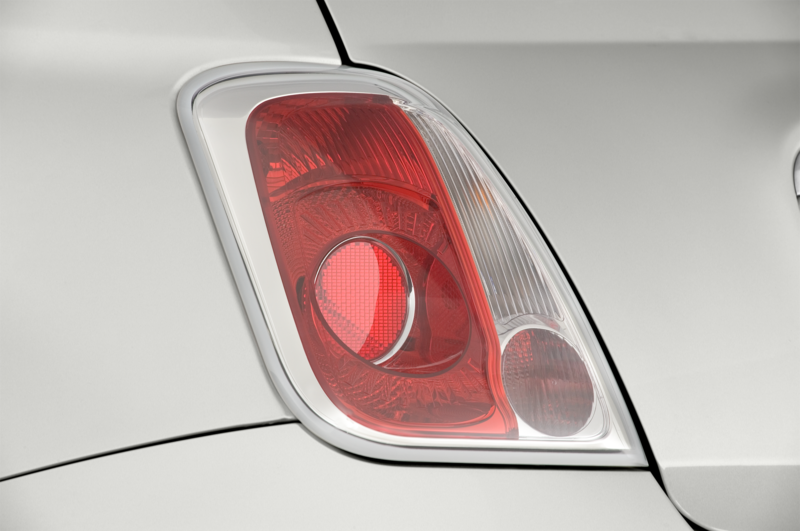 Could see improvements in fuel efficiency and interior quality. 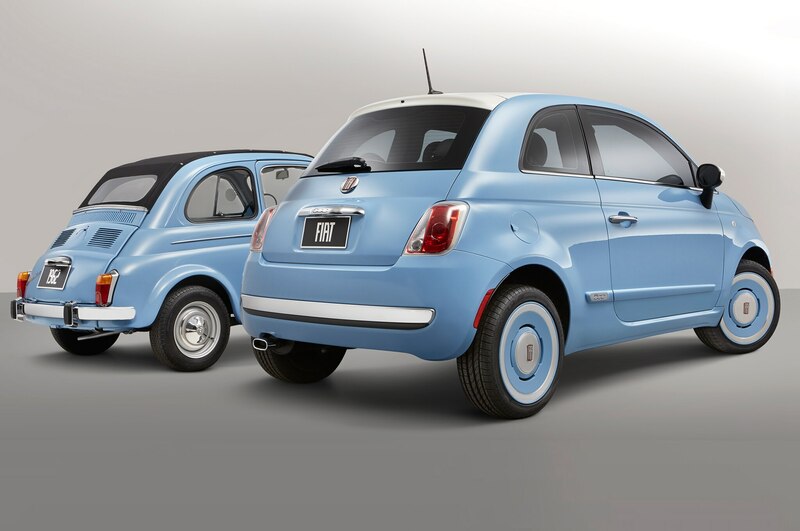 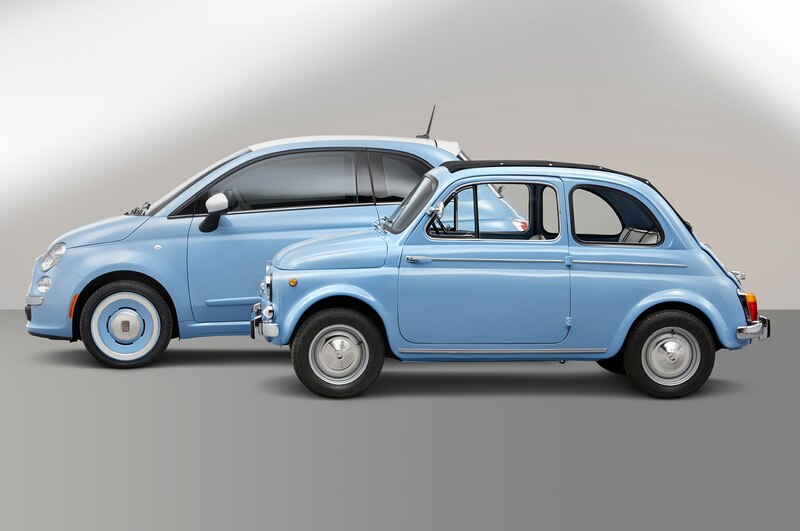 Two different takes on the compact Italians. 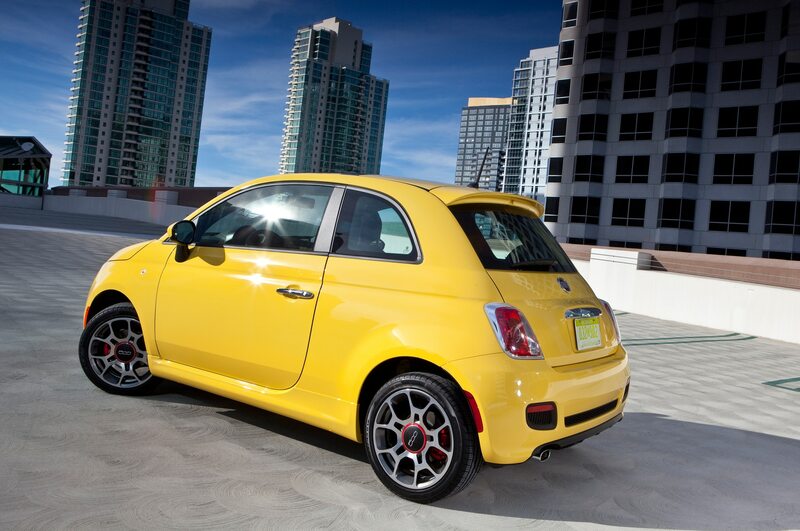 One less pedal, just as much fun.